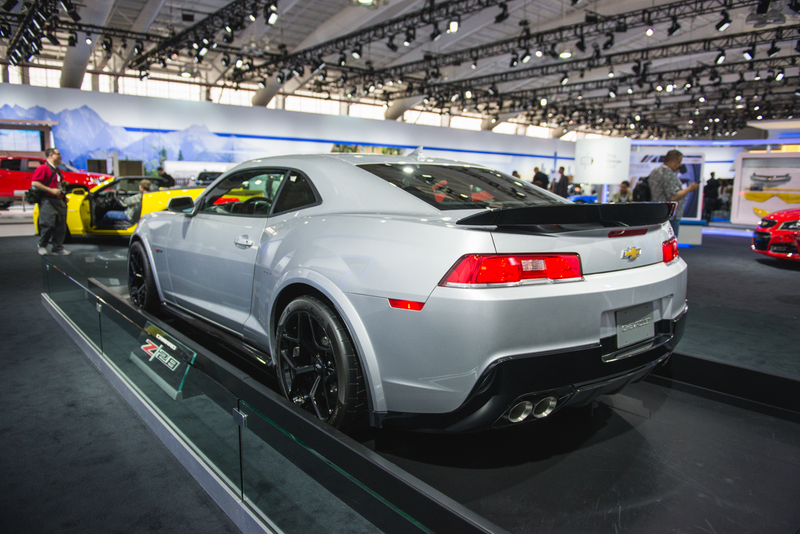 Introduced at the 2013 New York Auto Show, the refreshed 2014 Chevrolet Camaro brings restyled front and rear fascias, a host of new features and colors, as well as the addition of the 1LE performance package and the legendary Z/28 trim level. 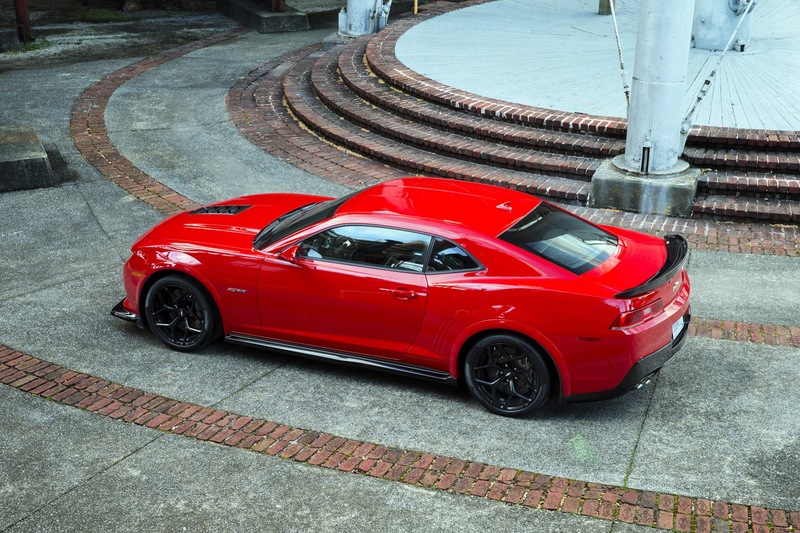 All 2014 Camaro models get a revised exterior design that marks the most significant appearance change since the introduction of the fifth-generation Camaro. 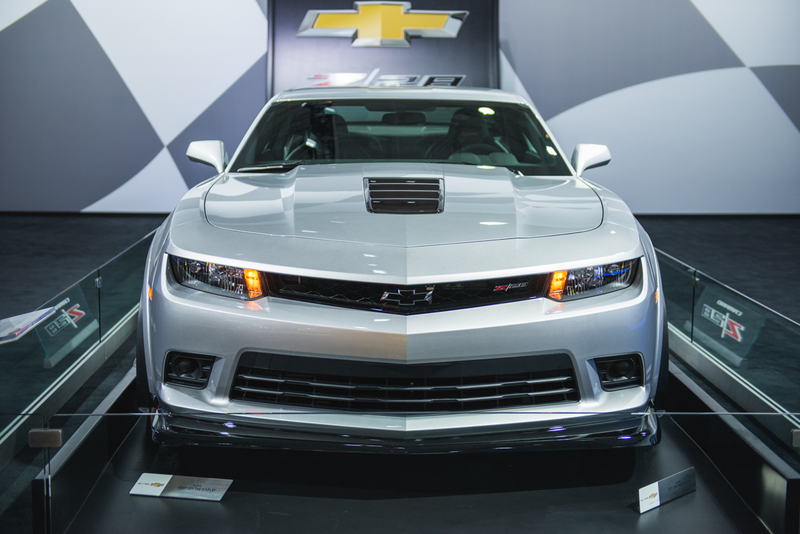 The model sports new front and rear fascias including new headlamp and taillight designs that contribute to a sleeker and faster appearance. 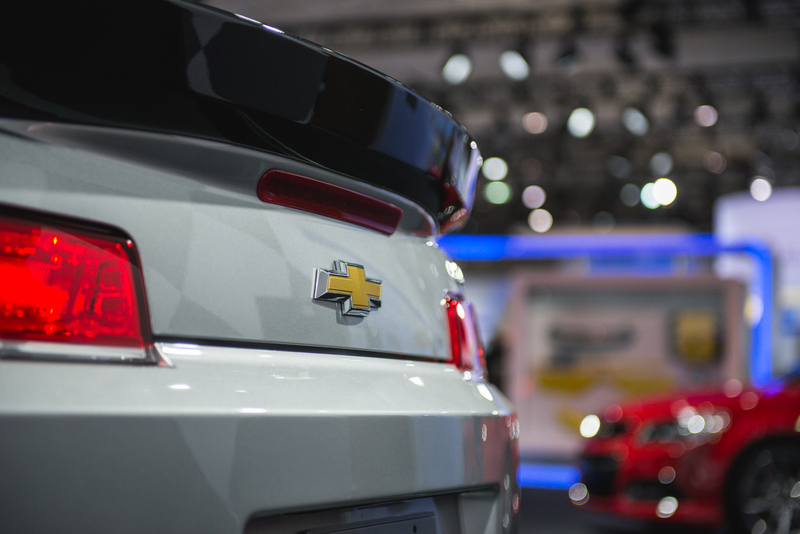 The refresh gave Chevrolet an opportunity to “apply what we have learned listening to our customers, and our continuing development of high-performance models”, according to Camaro exterior design director Tom Peters. 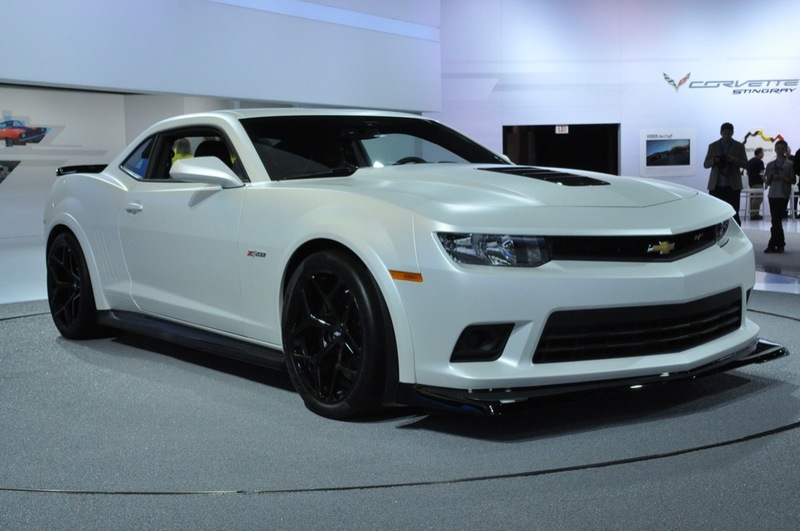 Compared to the 2010-2013 Camaro, the updated design equips the Camaro with a wider, lower, and more contemporary appearance. 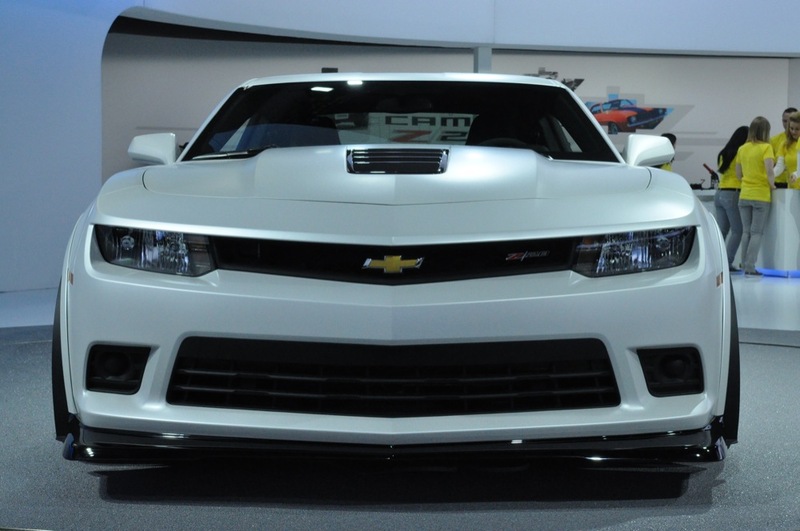 The front fascia features a wider lower opening complemented by a narrower upper opening. 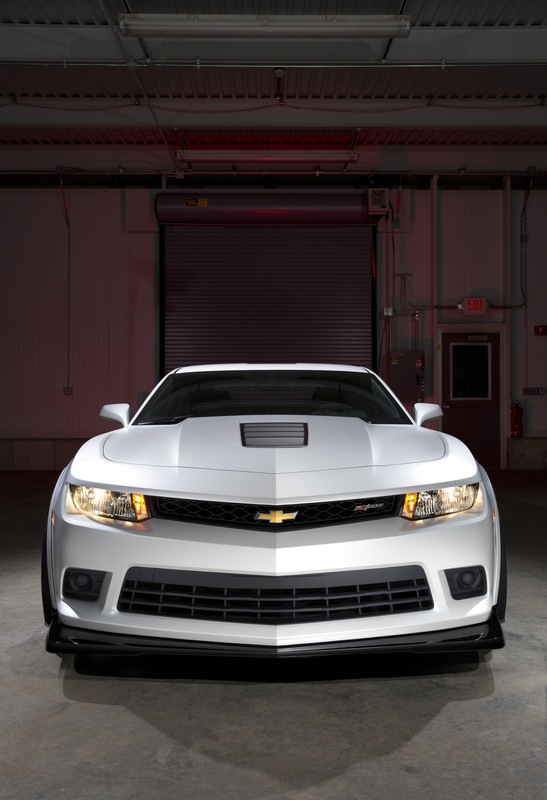 The appearance of the “halo ring” HID headlamps on the Camaro RS package has also been updated, while a new functional hood vent on the Camaro SS helps reduce heat and aerodynamic lift. 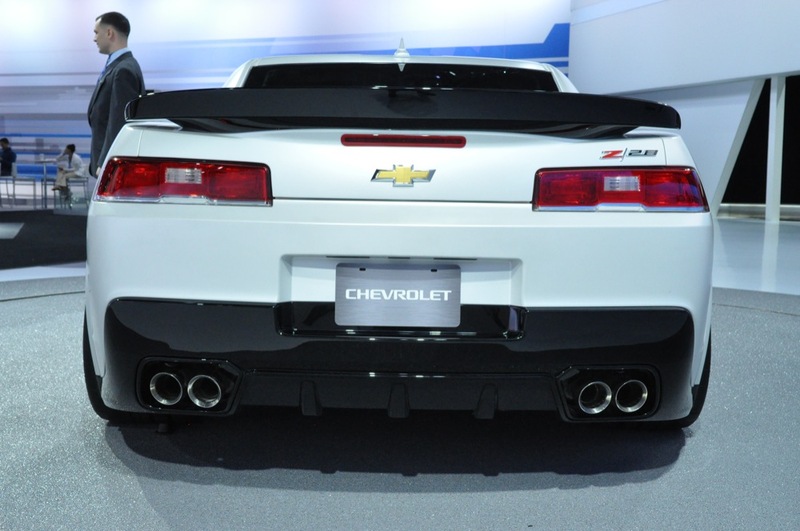 In the back, the 2014 Camaro features an updated decklid and horizontal lamps that feature LED lights on the RS package. 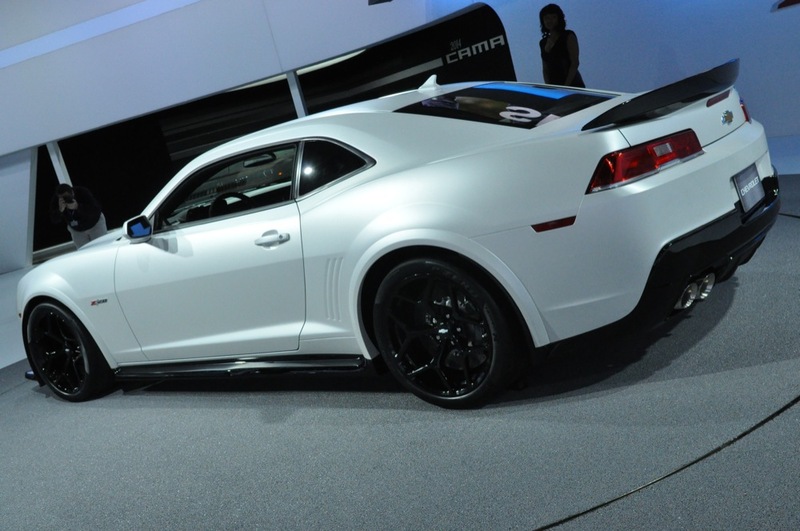 Notably, the design of the lower air dam of the 2014 Camaro LS and LT will be different from that of the SS, ZL1, and Z/28. 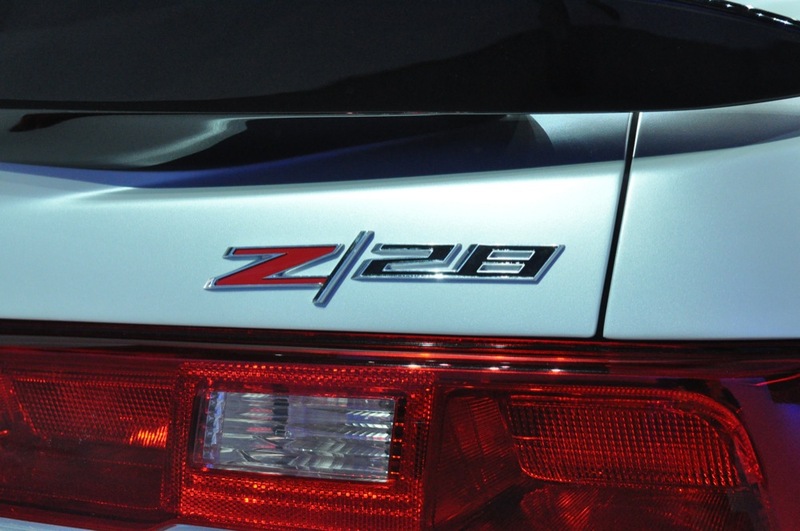 This was confirmed by GM’s John Fitzpatrick. 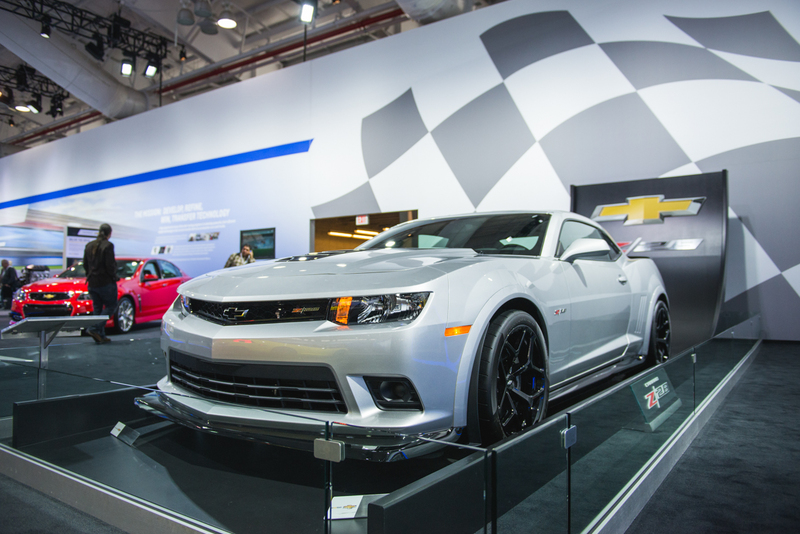 In addition, the ZL1 does not get the updated front fascia design, retaining the previous front fascia that is airflow-optimized for the model’s supercharged powertrain and downforce-producing aerodynamics. 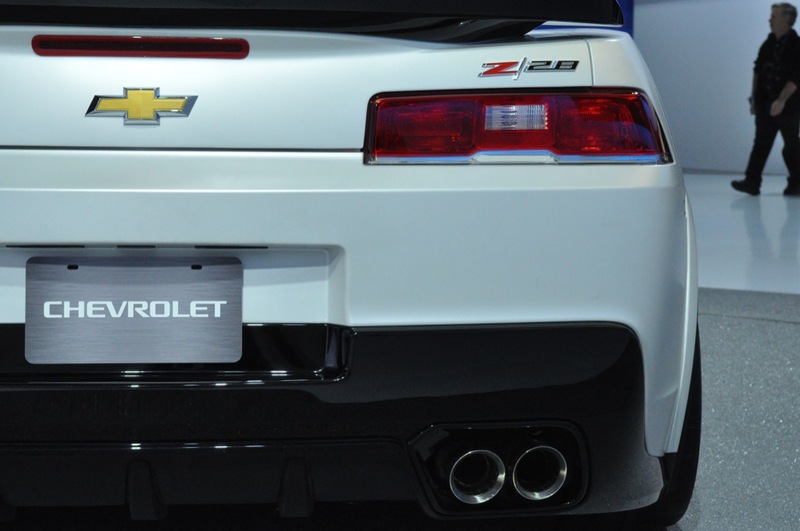 At the rear, a new rear fascia features with new diffuser styling and exhaust outlets, as well as a deck lid spoiler complementing the revised front-end styling. 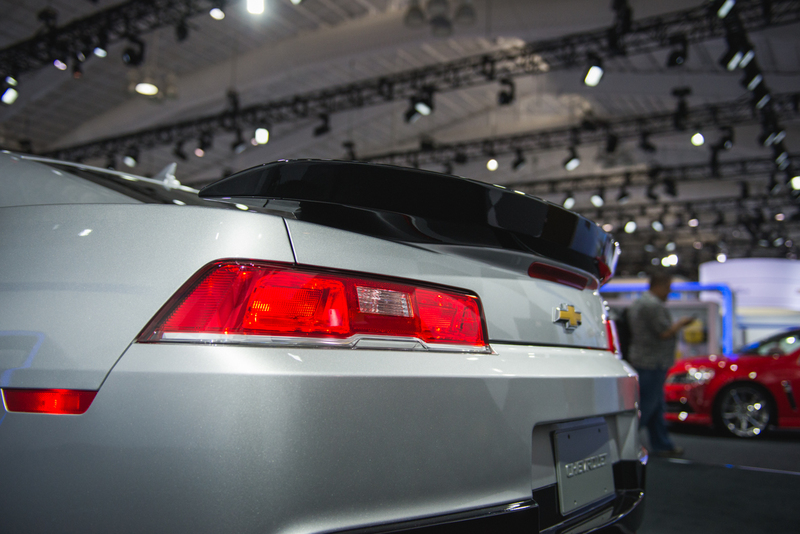 New taillights are sleek, one-piece components and feature LED lighting elements. 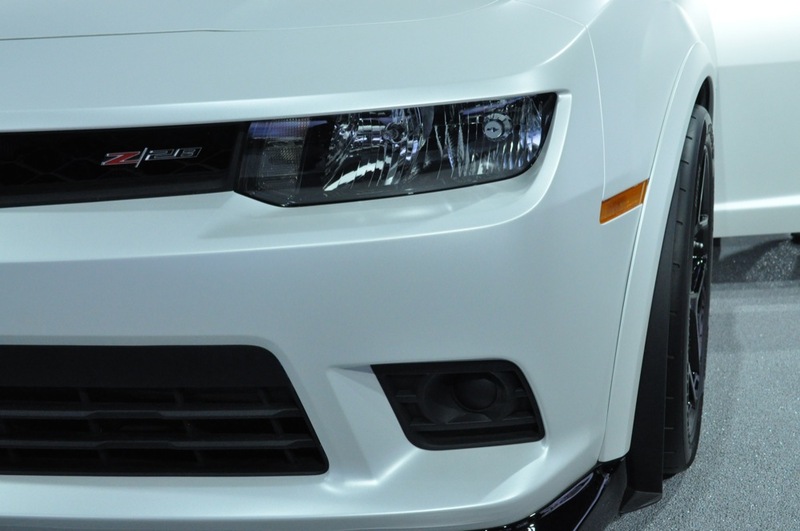 Available on LT and SS models revised for 2014, the RS appearance package features a unique grille and separate fog lamps from the daytime running lamps. 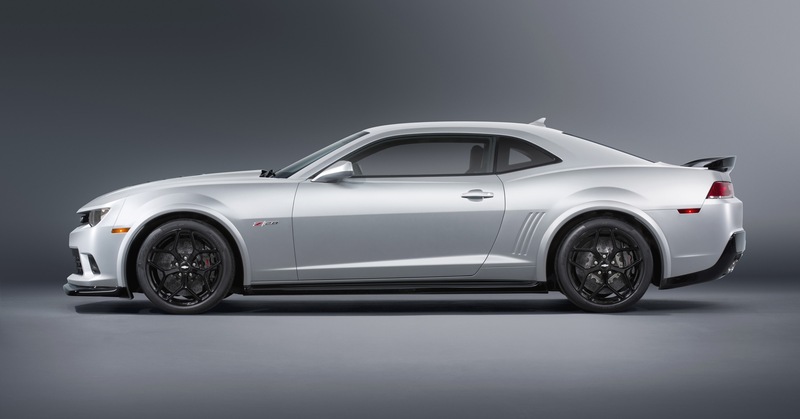 It also includes 20-inch flangeless aluminum wheels, a rear spoiler on LT coupe (spoiler is standard on SS and all convertible models), high-intensity discharged headlamps, and a body-color “shark fin” antenna. 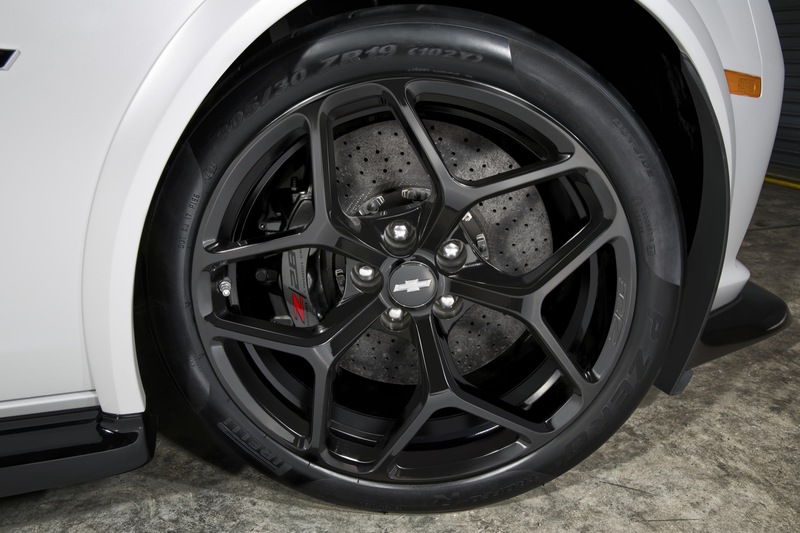 Eighteen-inch aluminum wheels replace stamped steel wheels for 2014 Camaro LT models. 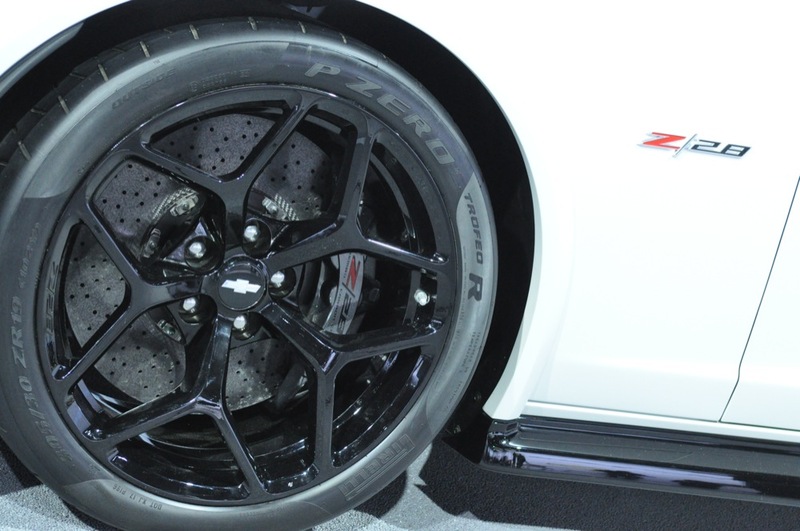 These wheels are also standard on the 1LS trim. 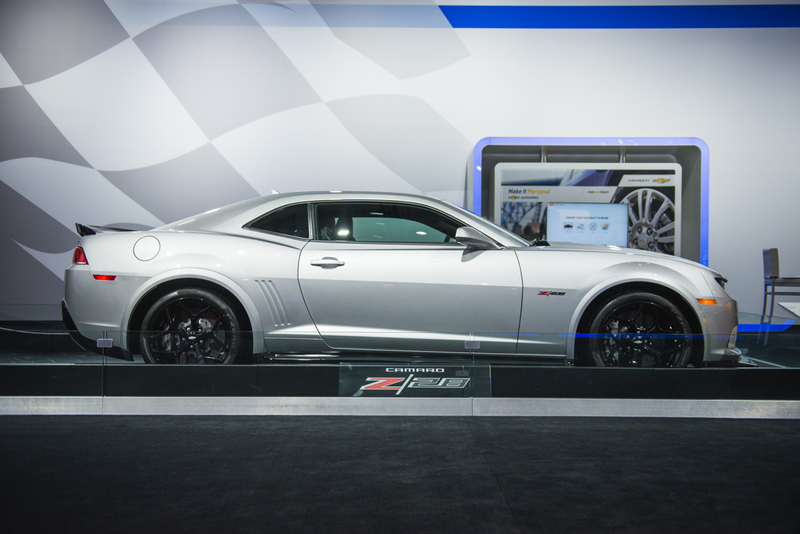 Nineteen-inch aluminum wheels are standard on 2LT, while twenty-inch wheels are standard on SS and available on LT models. 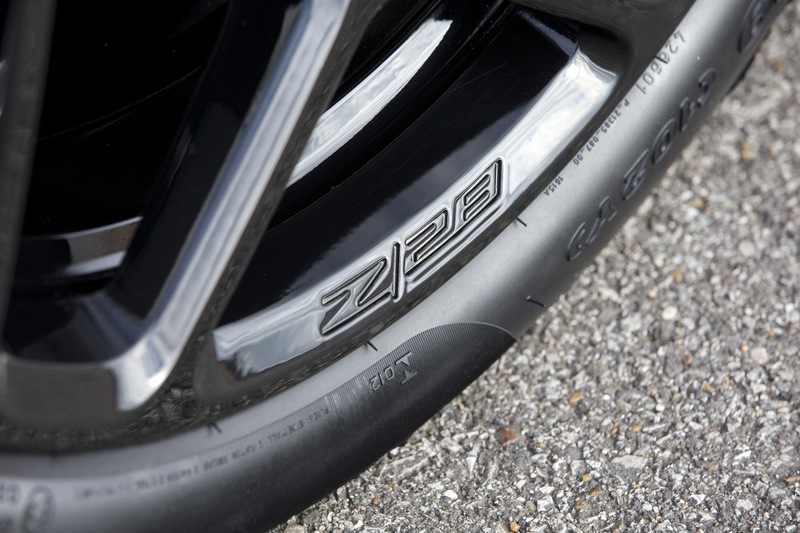 The 1LE Performance Package includes unique 20-inch wheels that are wider (see 1LE section below). 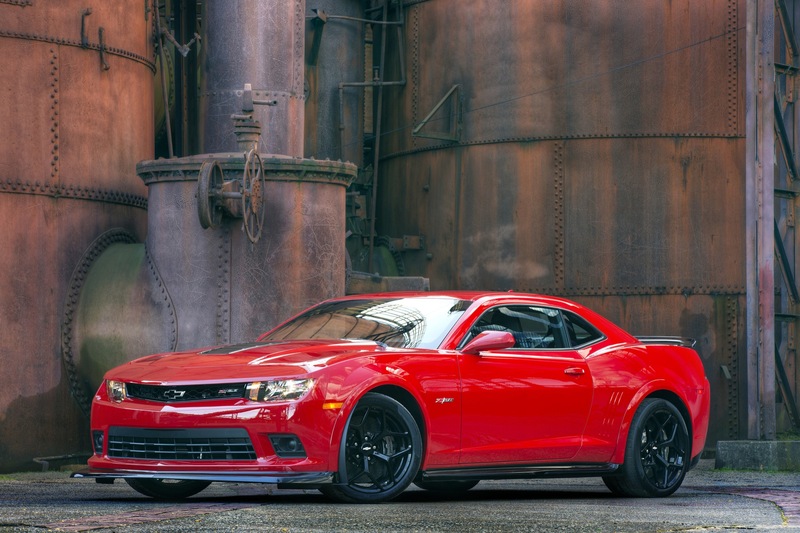 The exterior color palette for 2014 includes Red Hot, Bright Yellow, Red Rock Metallic, Silver Ice Metallic, Summit White, Black, Crystal Red Tintcoat, Ashen Gray Metallic and Blue Ray Metallic. 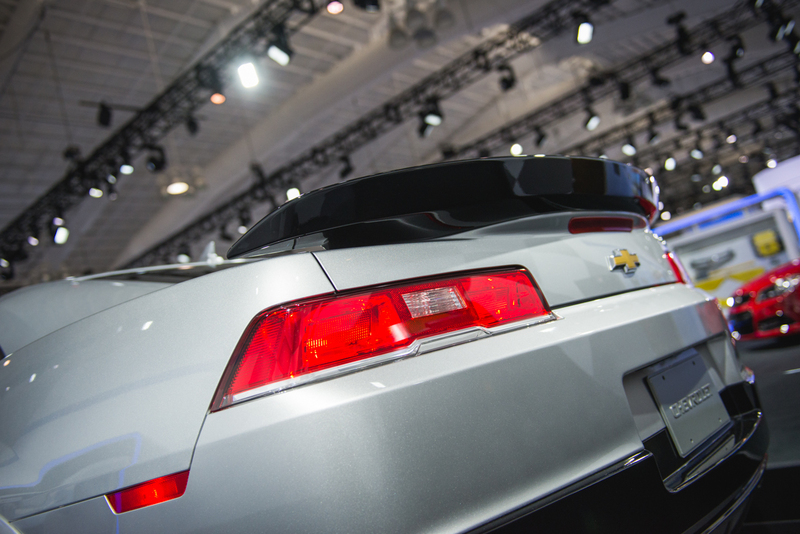 The convertible top color choices include black and beige. 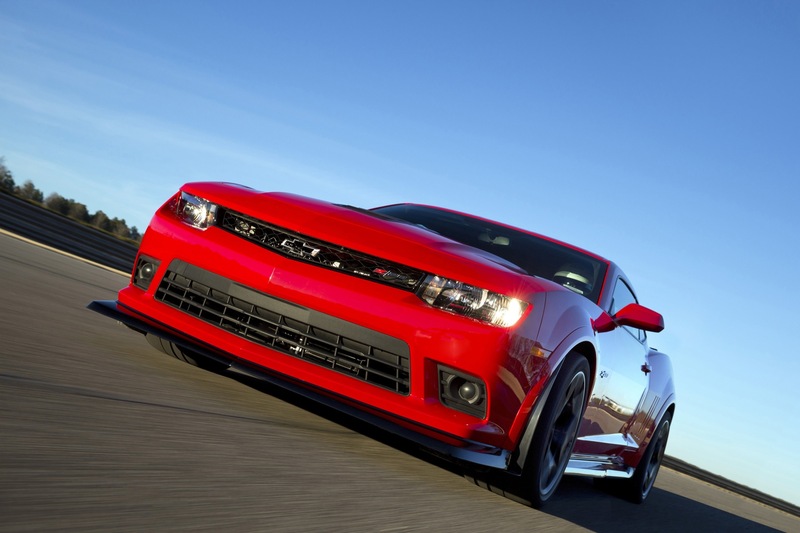 The 2014 Camaro remains available in Coupe and Convertible body styles for the LS, LT, SS, and ZL1 trim levels. 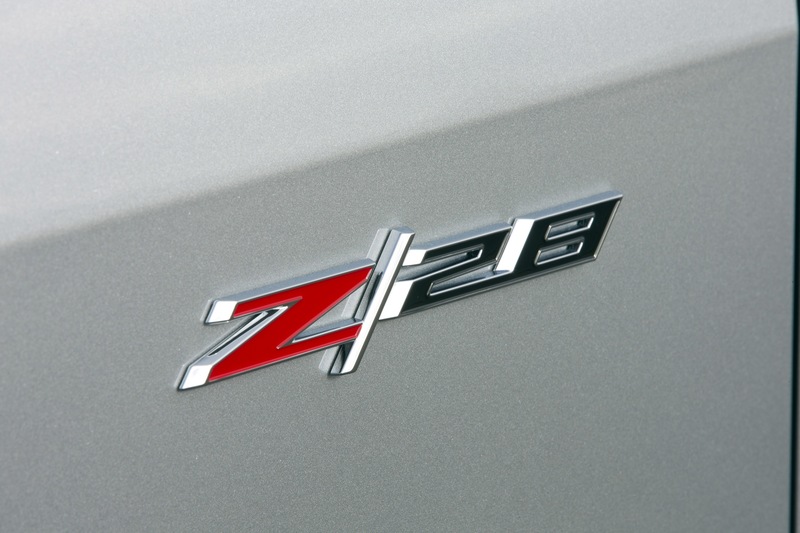 The new Z/28, however, is only offered as a coupe. 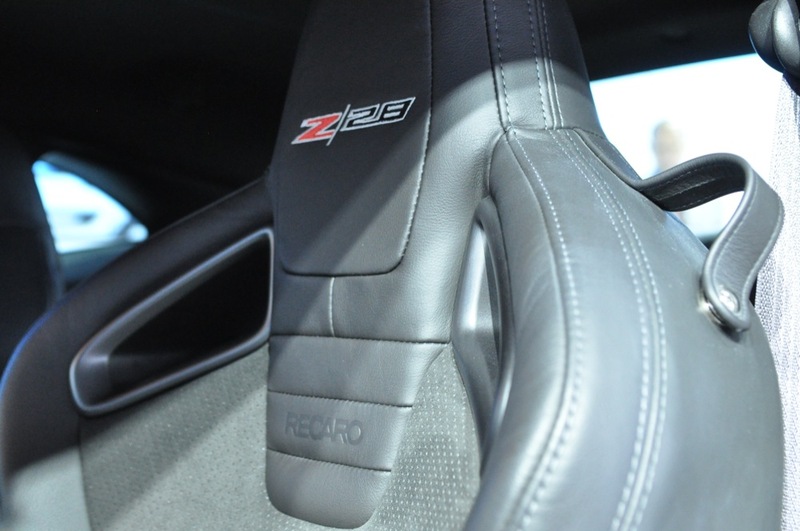 The most significant difference to the 2014 Camaro’s interior over the 2013 model is the newfound availability of Recaro racing seats. 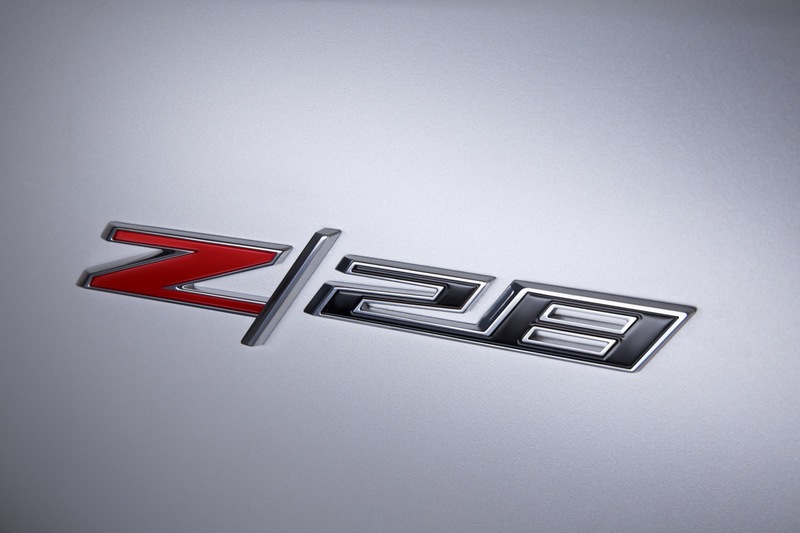 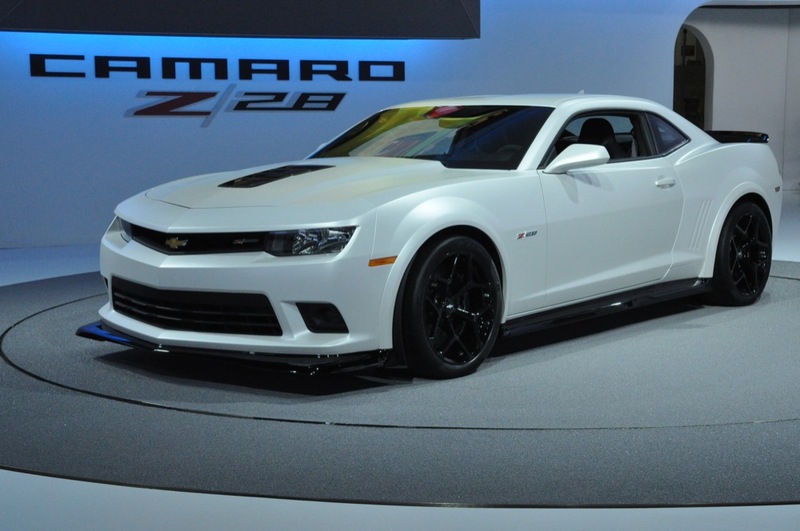 They are only available on the coupe models of the SS, and are standard on the ZL1 and Z/29. 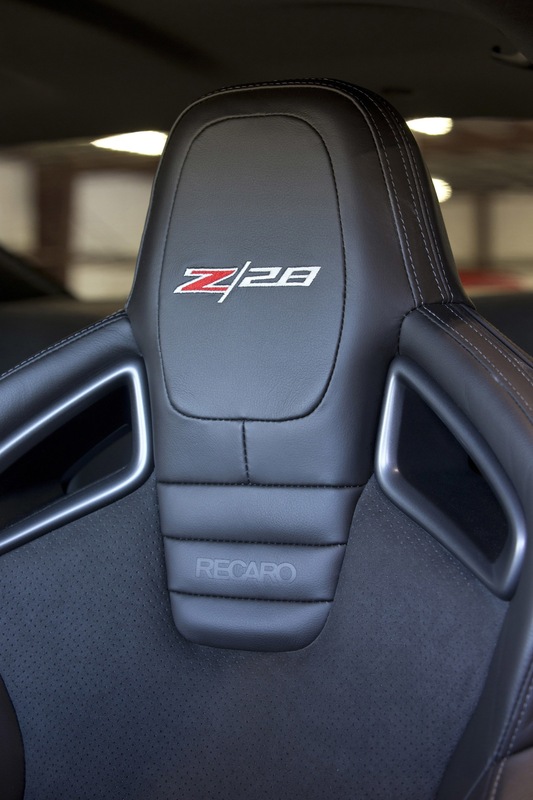 The seats feature aggressive bolsters for high-performance driving, as well as seat cutouts inspired by the five-point harnesses found on racing seats. 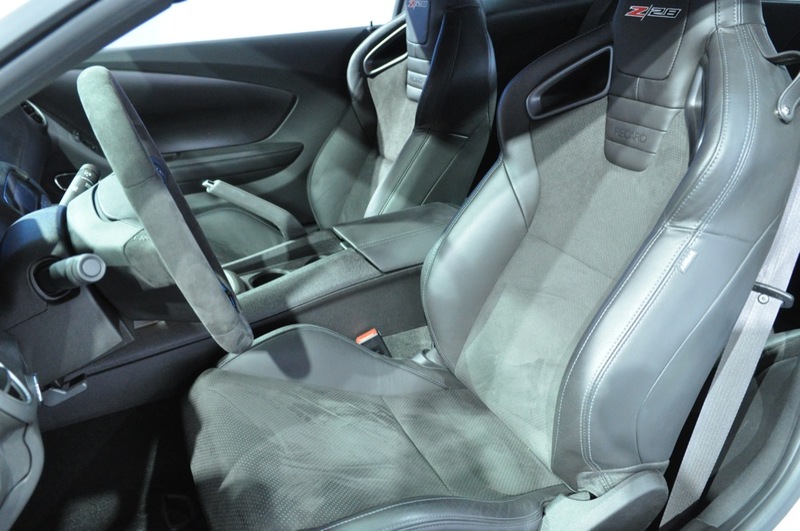 To save weight, both front seats incorporate manual adjustment. 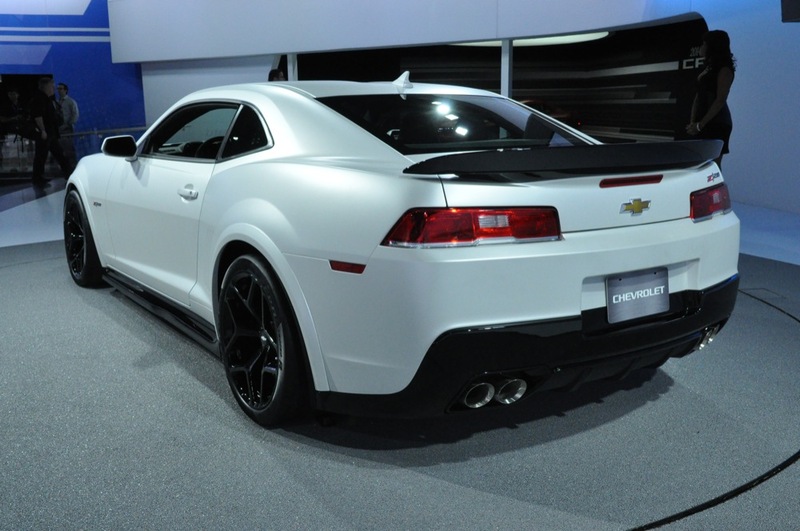 In addition, the 2014 Camaro Z/28 features a series of changes (rather than updates) to the cabin that aim to decrease the weight of the vehicle. 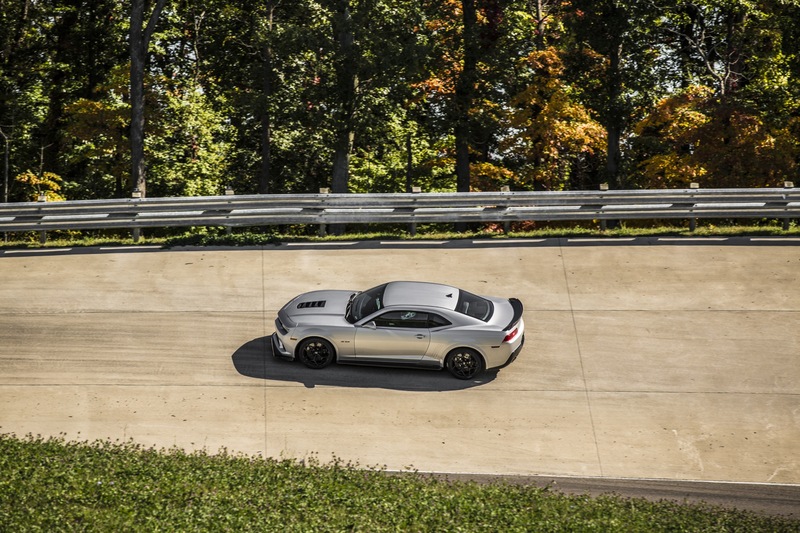 The interior is further enhanced by new color readouts for the driver information center and available head-up display, which projects key instrument, Turn-by-Turn navigation and audio system details on the windshield. 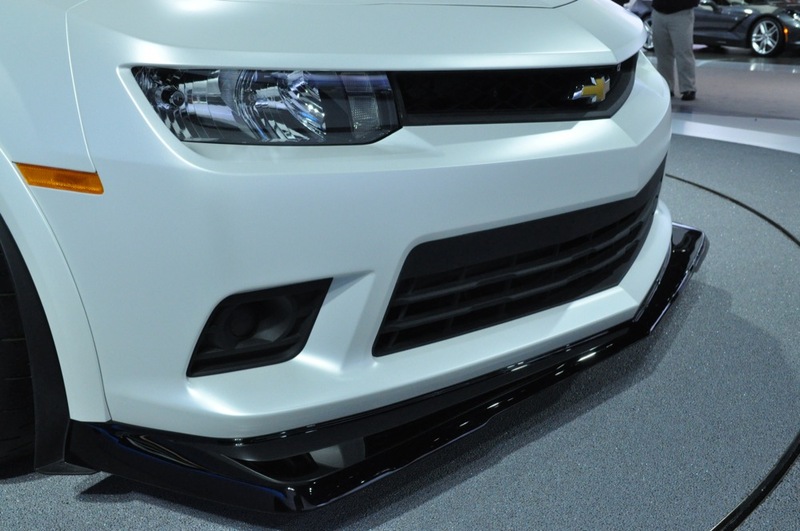 An ambient lighting package on 2LT and 2SS trims gives the interior a special glow with LED light pipe technology. 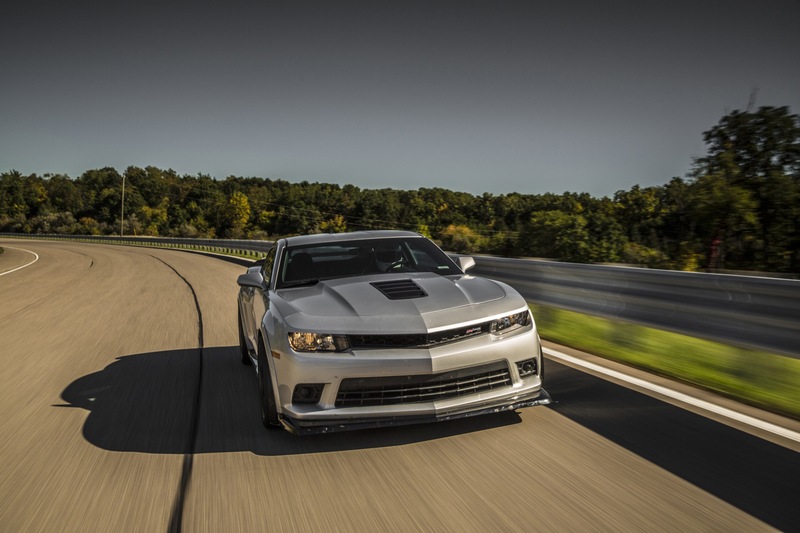 The standard (non-Recaro) driver and passenger seats feature six-way adjustable settings (fore/aft, up/down and tilt), with power recline front seats that are standard on LT and SS models. 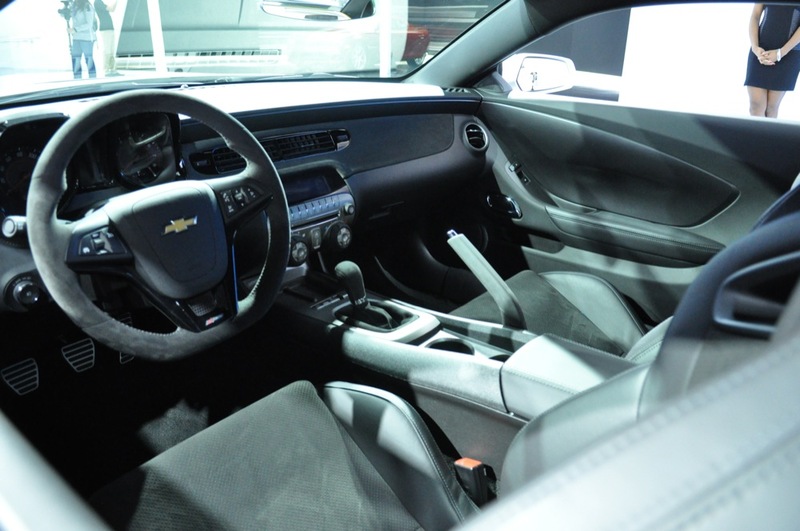 Heated, leather-trimmed seats are part of the 2LT and 2SS trim packages. 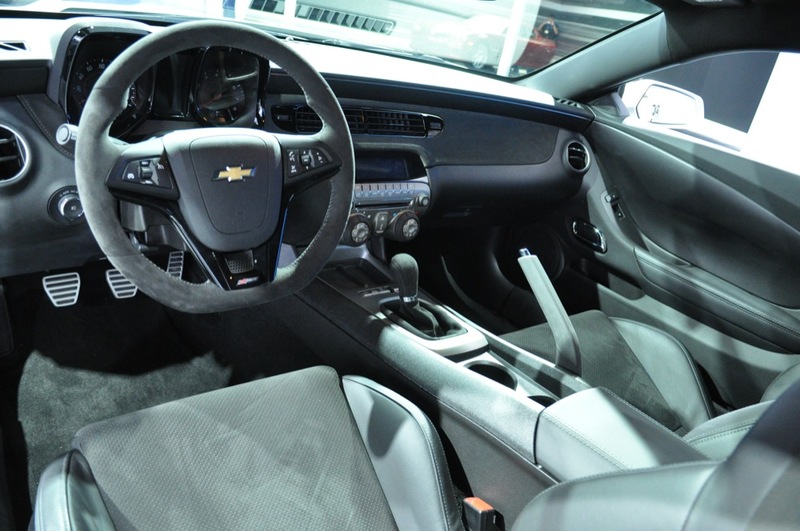 Additional comfort and convenience features include a standard driver’s foot rest (dead pedal), power windows with express (one-touch) up/down functionality, an auxiliary gauge panel in the center console – standard in 2LT and 2SS – and a ZL1-inspired shift knob for all manual transmissions, and a leather-wrapped, three-spoke steering wheel is standard on LT and SS. 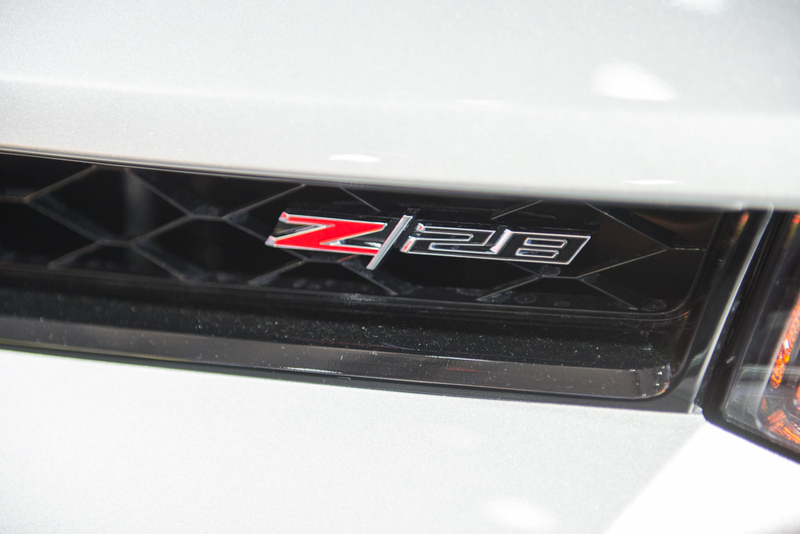 Complementing the new MyLink infotainment system is a six-speaker sound system on LS, 1LT and 1SS. 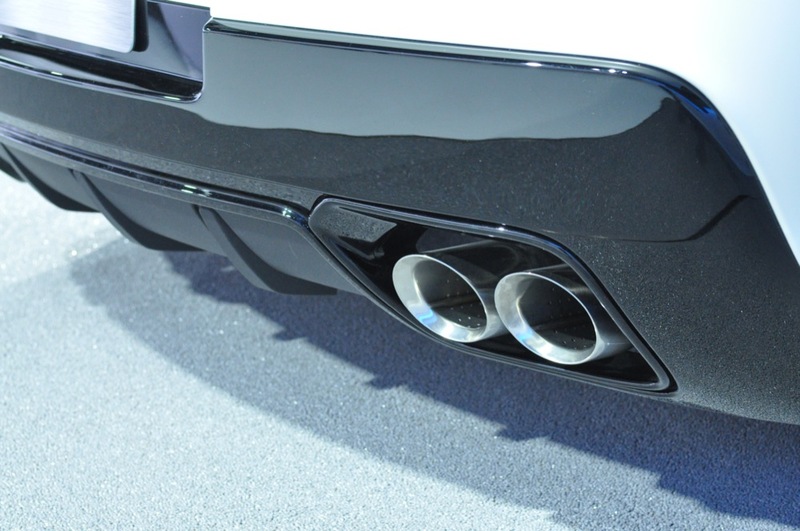 A 245-watt, Boston Acoustic nine-speaker sounds system is standard on 2LT and 2SS – and available on 1LT and 1SS. 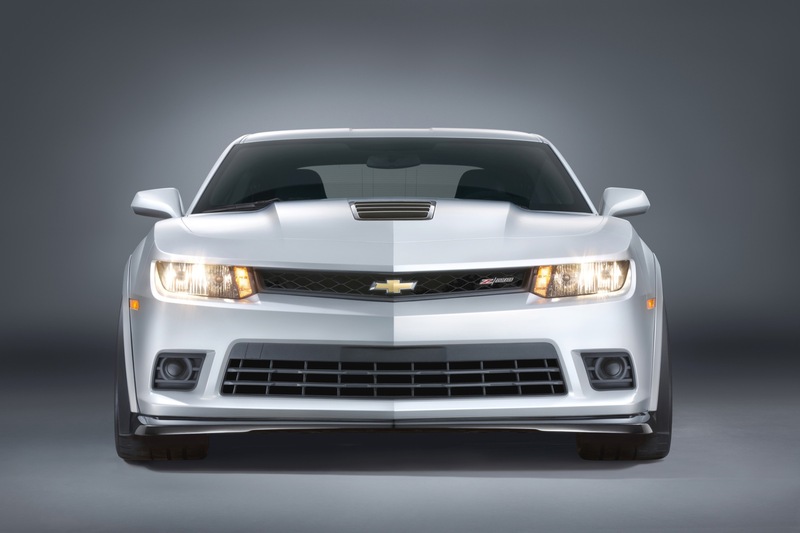 Interior color and trim choices include Black, Beige, Gray and Inferno Orange and Blue, which is new for 2014. 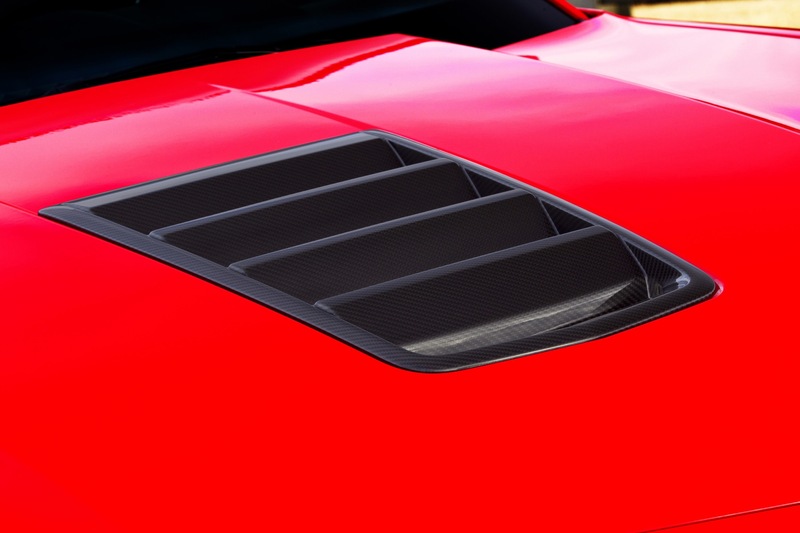 The Inferno Orange and Blue combinations include orange or blue leather seats, respectively, along with accent stitching on the steering wheel, shift knob, door armrest, center console and seats, along with orange or blue appliques on the instrument panel and door panels. 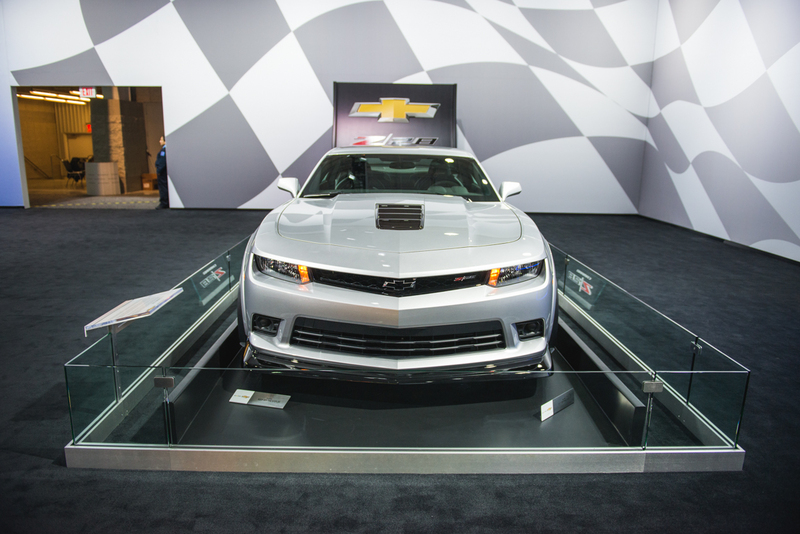 SS models feature “SS” embroidery on the front seats. 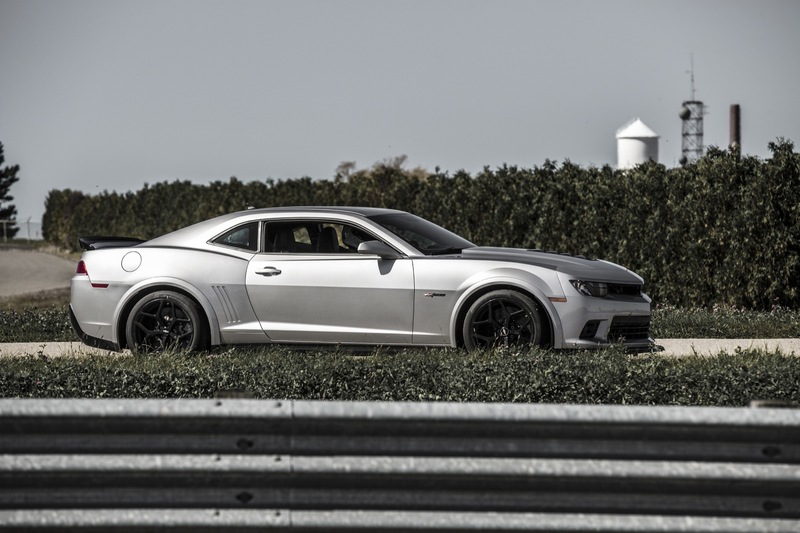 The road-racing-inspired Camaro 1LE performance package returns with unique gearing, suspension tuning, and tires that make the model capable of more than 1G of lateral acceleration. 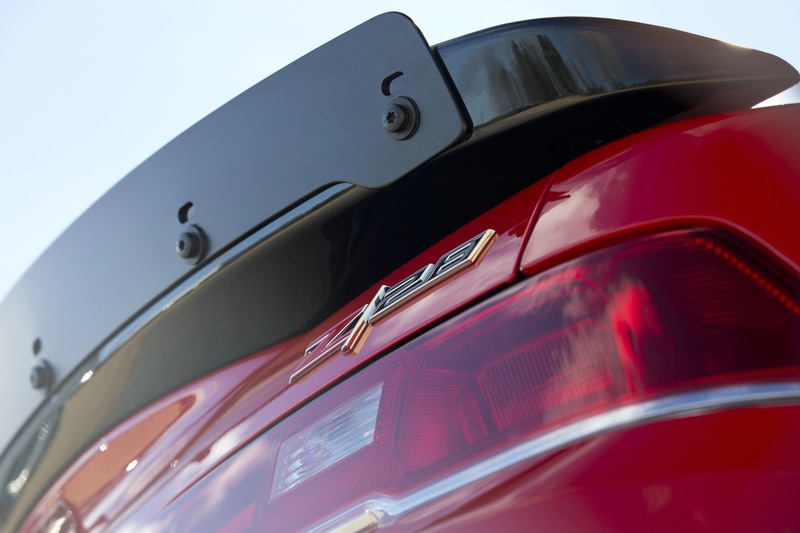 A specific rear spoiler is also new for 2014. 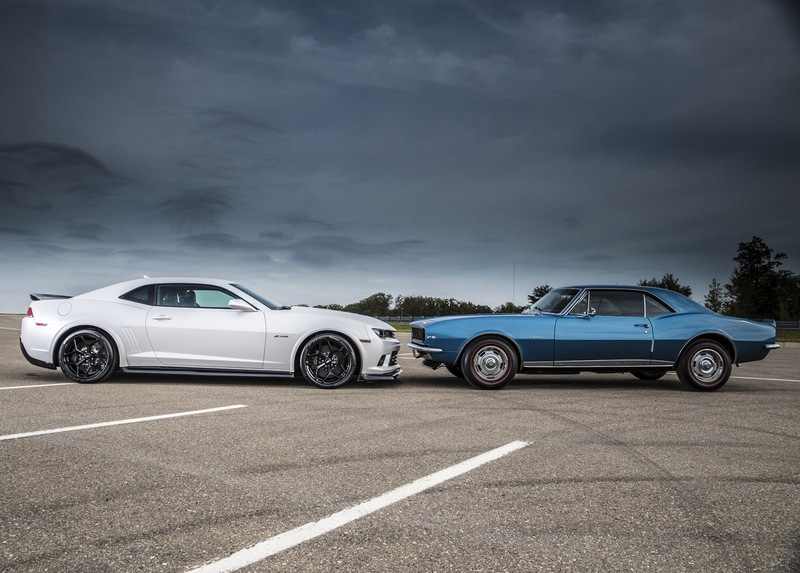 The 1LE package is offered on 1SS and 2SS coupe models with an exclusive Tremec TR6060-MM6 six-speed manual. 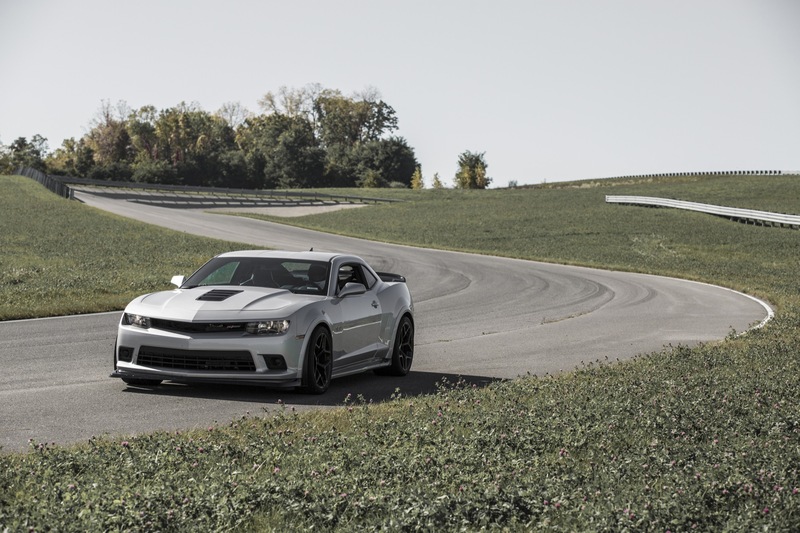 Paired with a numerically-higher 3.91 final-drive ratio, the close-ratio gearing of the transmission is tuned for road-racing performance. 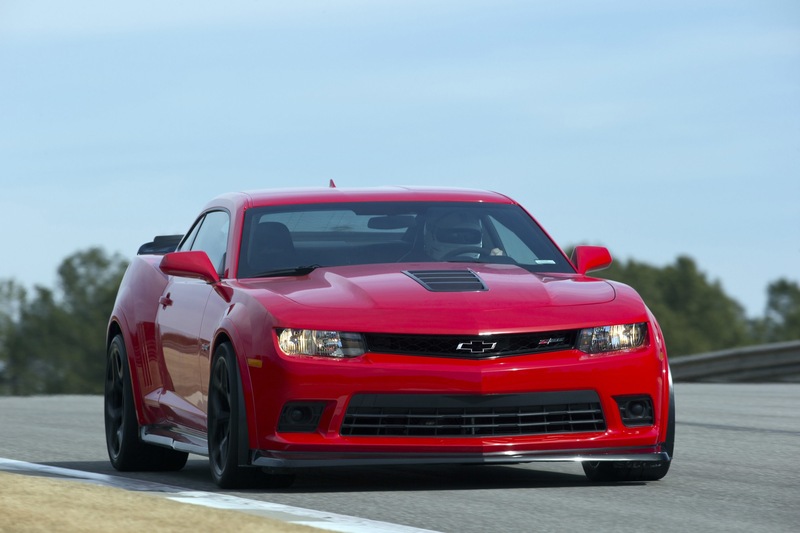 As with the ZL1, the 1LE transmission features a standard air-to-liquid cooling system for track use. 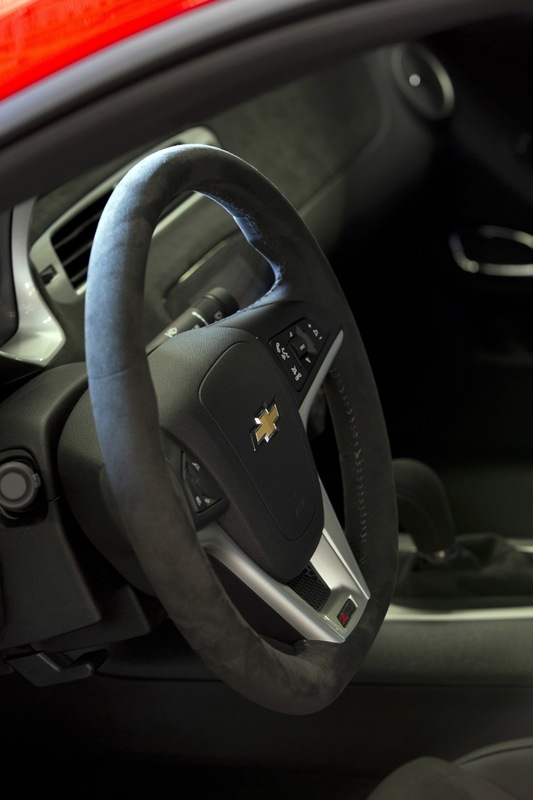 Inside, the 1LE package incorporates the ZL1’s flat-bottom steering wheel, trimmed in sueded-microfiber and designed for easier heel-and-toe driving on the racetrack. 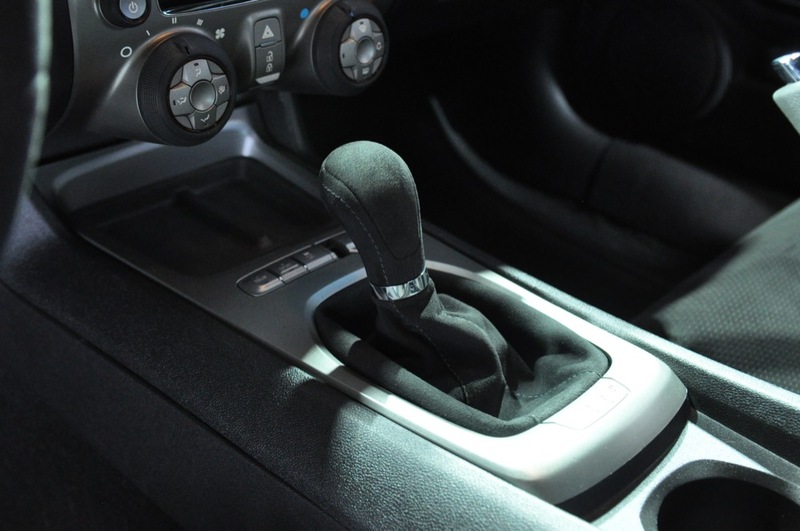 The quick-acting, short-throw shifter from the ZL1 is also trimmed in sueded-microfiber. 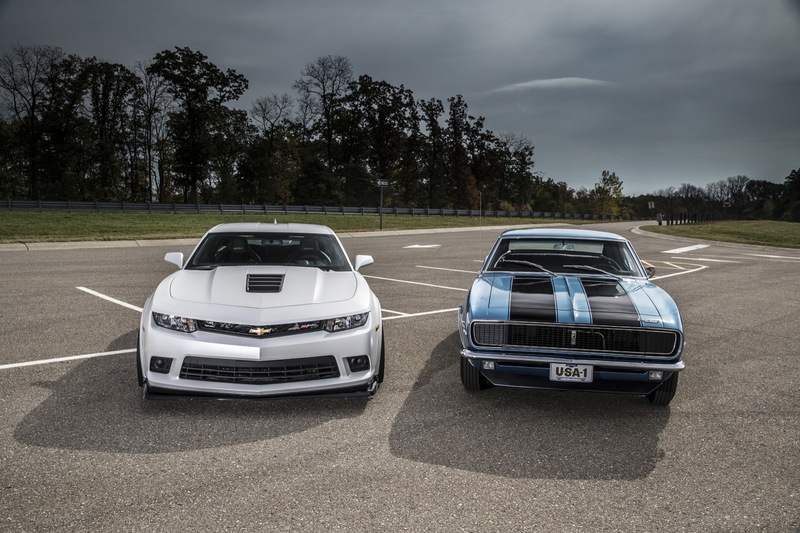 The Camaro 1LE package was first introduced in 1988, inspired by Camaro’s involvement in Pro-Am road racing. 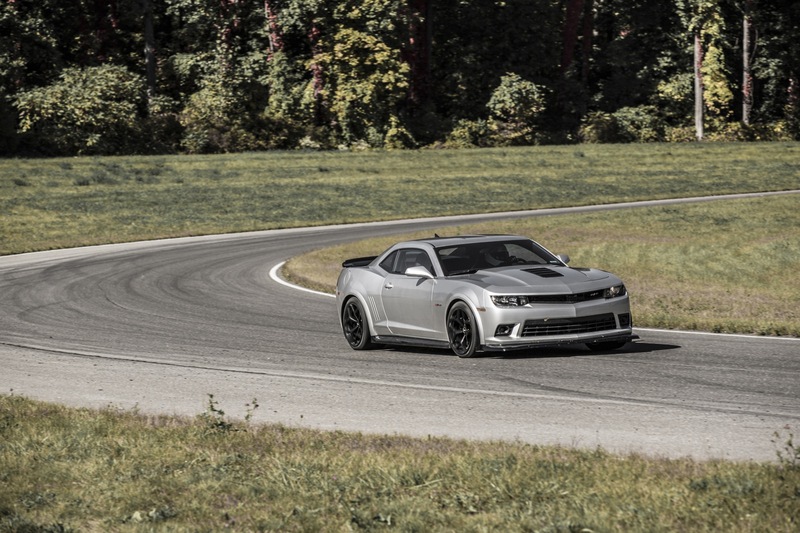 The high-performance Z/28 trim level is back for the Camaro — making the sports car the most track-capable Camaro ever built. 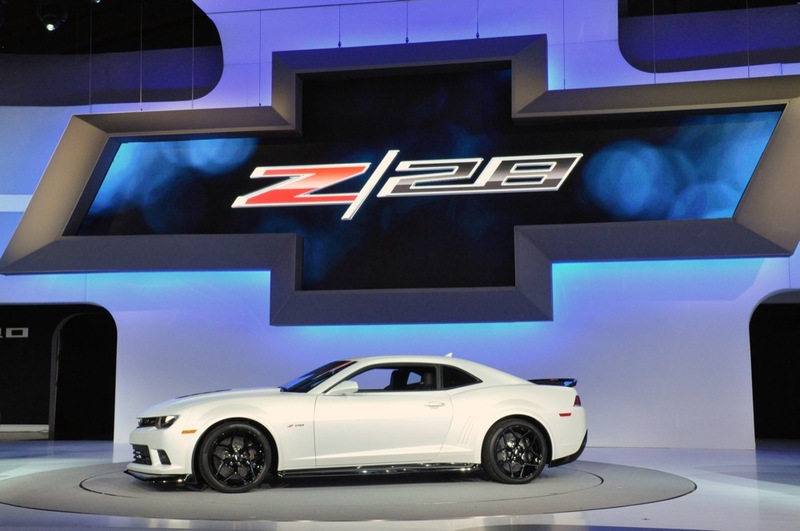 Read more about the 2014 Camaro Z/28. 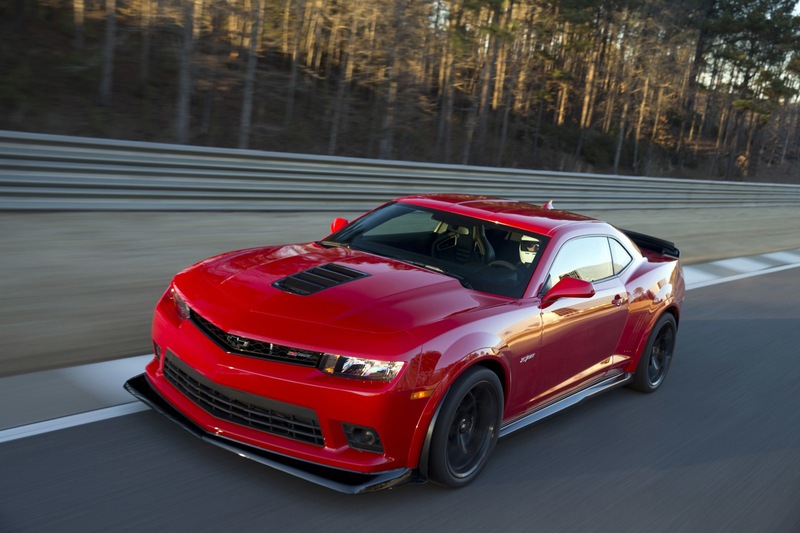 The Camaro ZL1 continues for the 2014 model year with a few changes. 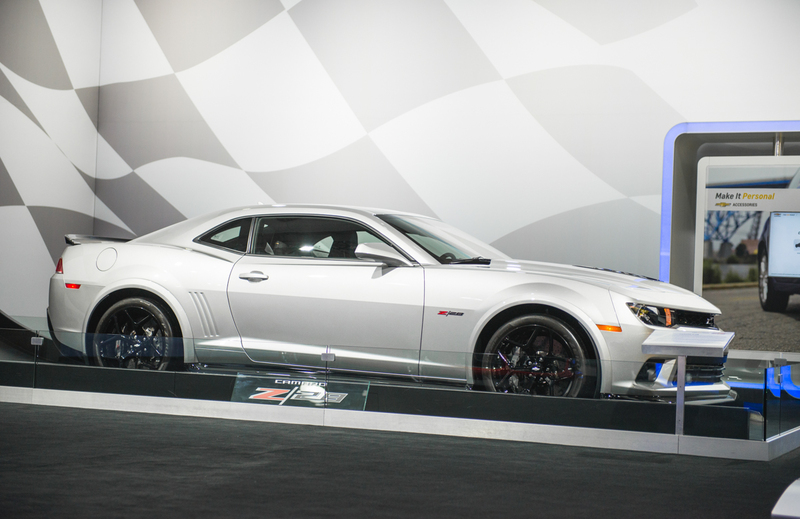 Read more about the 2014 Camaro ZL1. 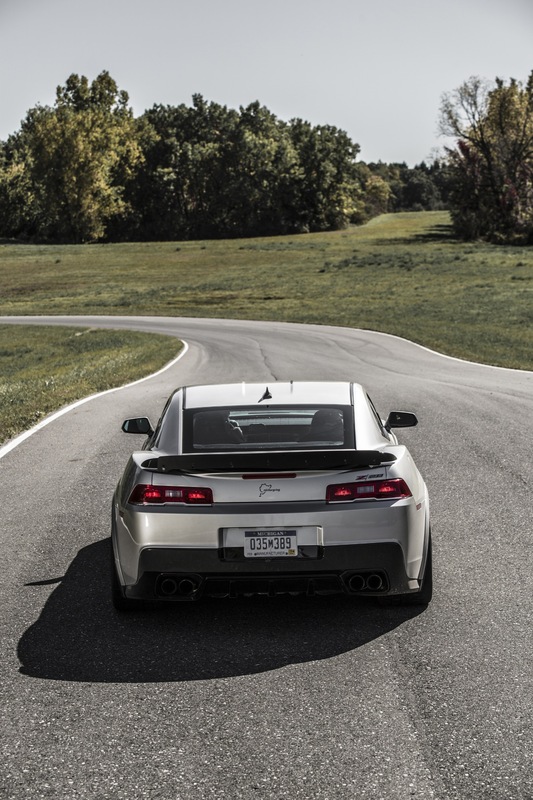 Standard in LS and LT models is the LFX-code 3.6L V6, rated at 323 horsepower (241 kW) and enabling EPA-estimated 30-mpg highway mileage (2LS model). 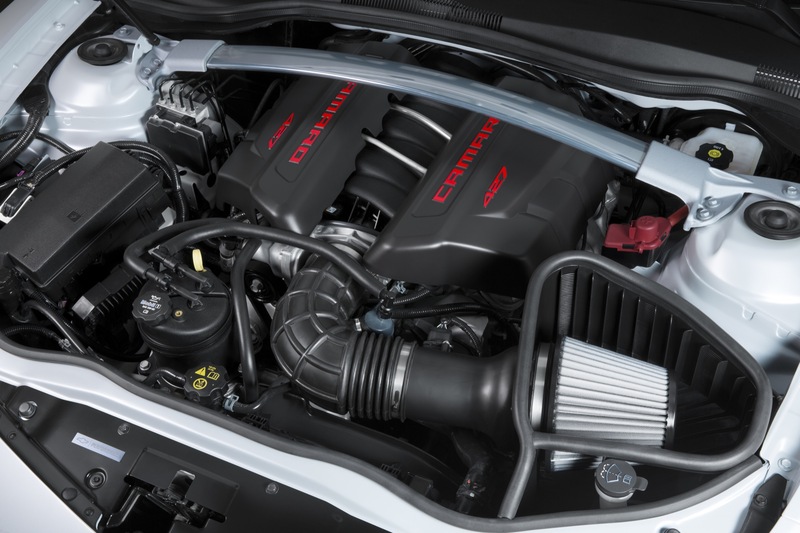 Many lightweight engine features contribute to the impressive fuel economy figure, including an integrated cylinder head/exhaust manifold design that saves about 13 pounds per engine, when compared with a conventional, non-integrated design. 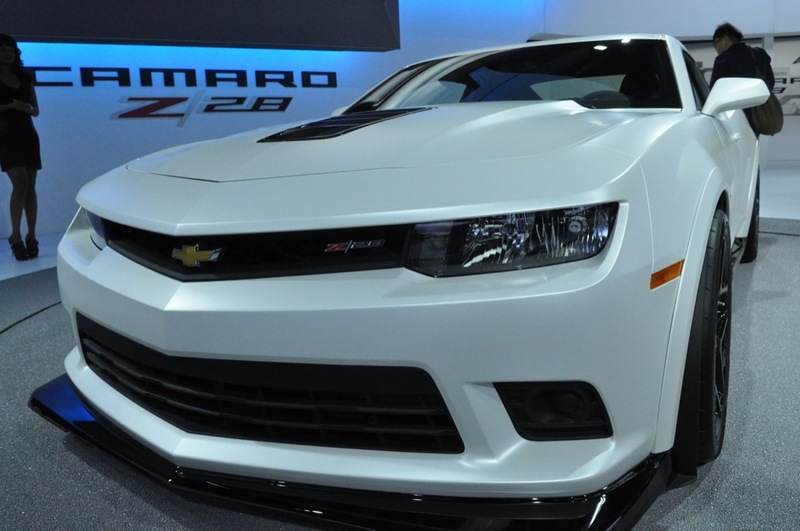 Two 6.2L V8 engines are offered in the Camaro SS, including the L99 on automatic-equipped vehicles and the LS3 on manual-equipped models. 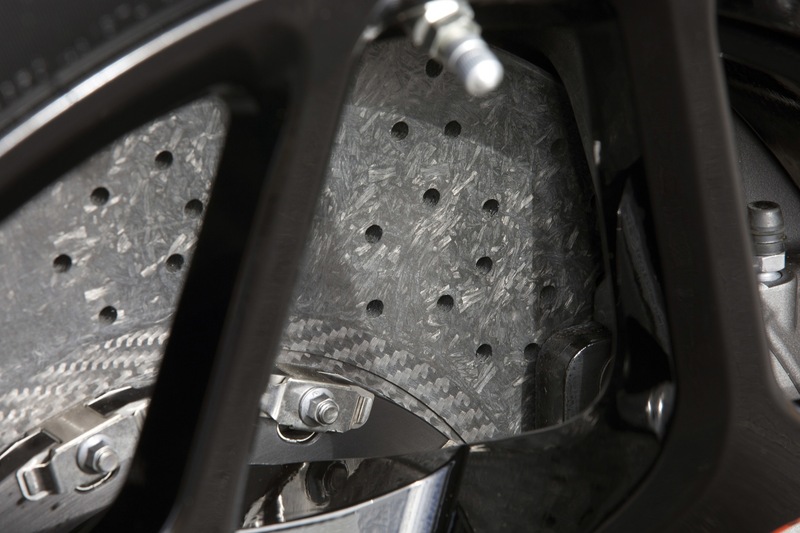 Horsepower for the L99 is 400 (298 kW) at 5,900 rpm and torque is 410 lb.-ft. (556 Nm) at 4,300 rpm. 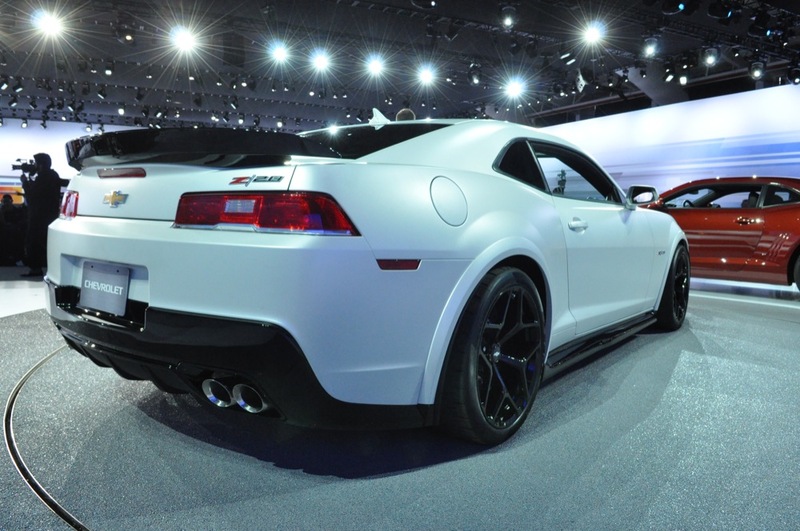 The LS3 develops 426 horsepower (318 kW) and 420 lb.-ft. (569 Nm). 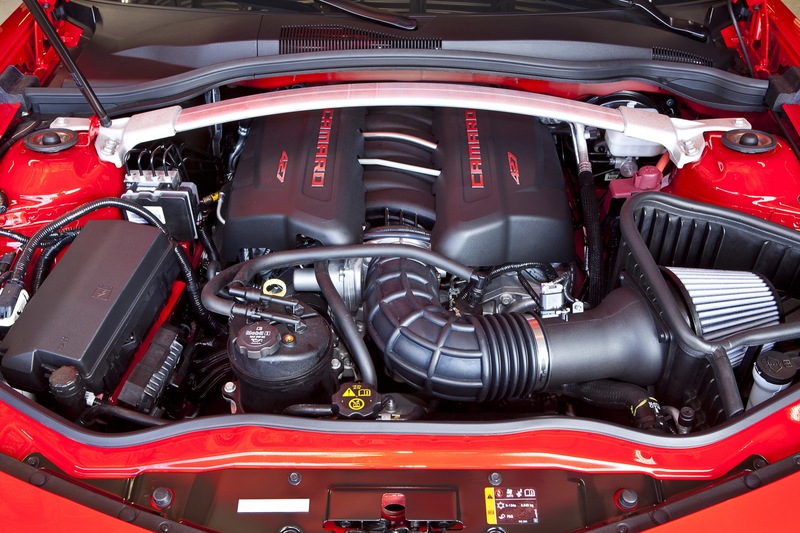 Output on the L99 is lower than the LS3 because of a slightly lower compression ratio (10.4:1 vs. 10.7:1) and design features of the Active Fuel Management system. 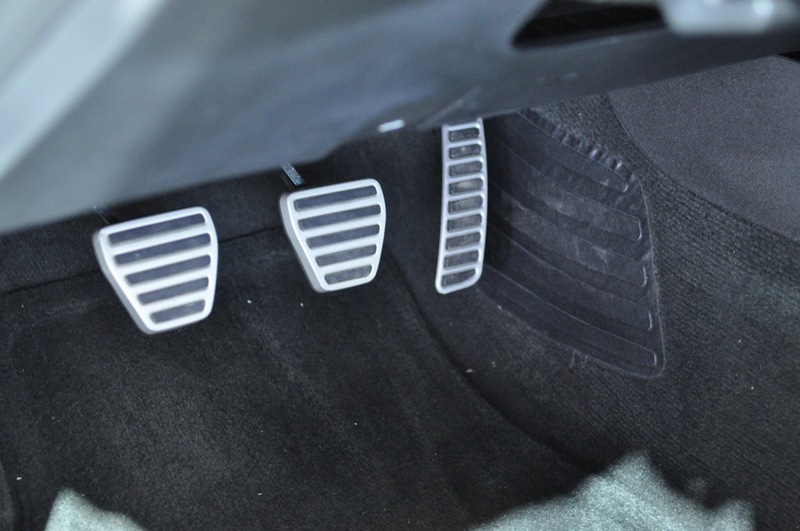 Hill start assist is standard on all manual transmissions. 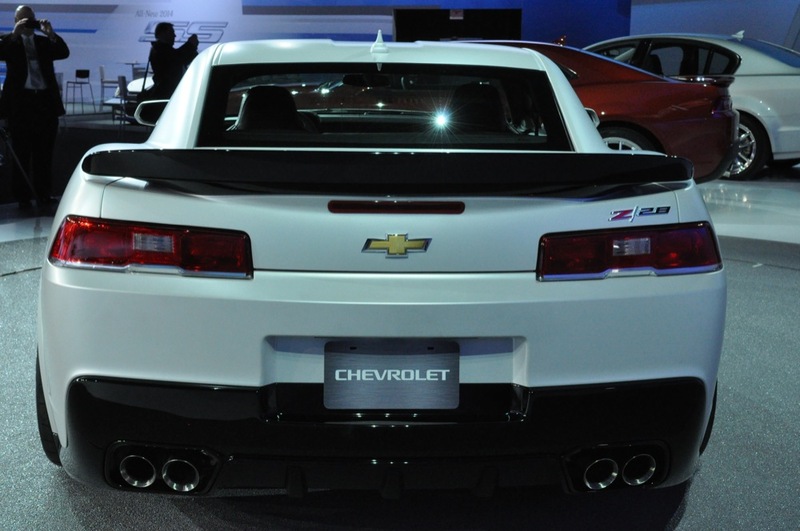 The 2014 Camaro continues to utilize a modified variant of GM’s Zeta rear-wheel drive vehicle architecture. 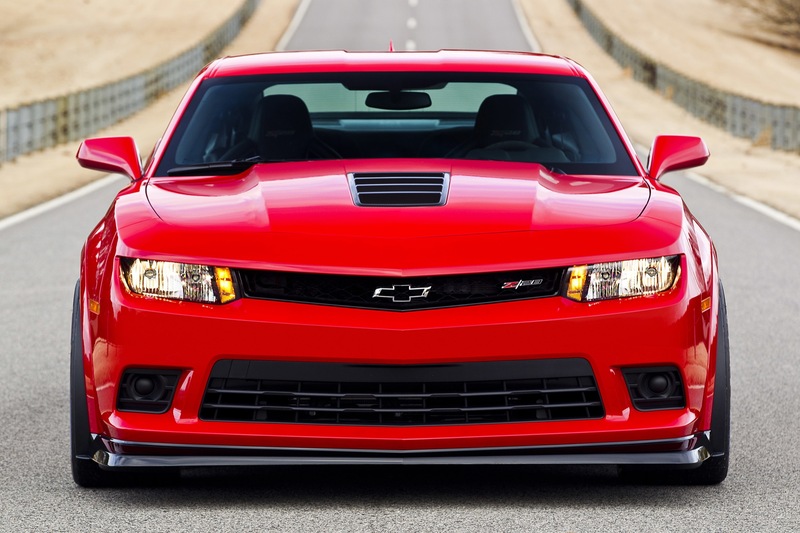 The platform also underpins the Holden Commodore/Chevrolet SS Performance Sedan, as well as the Holden Caprice/Chevrolet Caprice PPV. 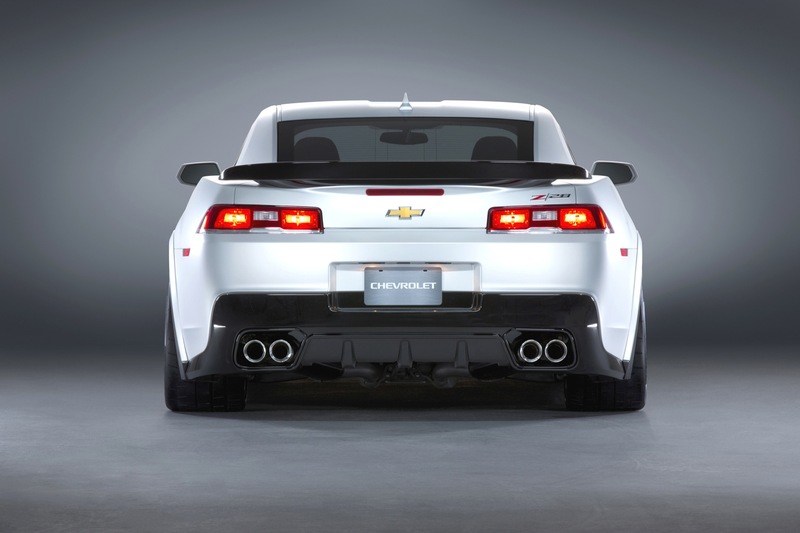 The fifth-generation Camaro features fully independent front and rear suspensions, with the rear suspension featuring a 4.5-link system that includes a unique, L-shaped upper control arm that attaches to the knuckle at one end and incorporates a ride bushing in the rear. 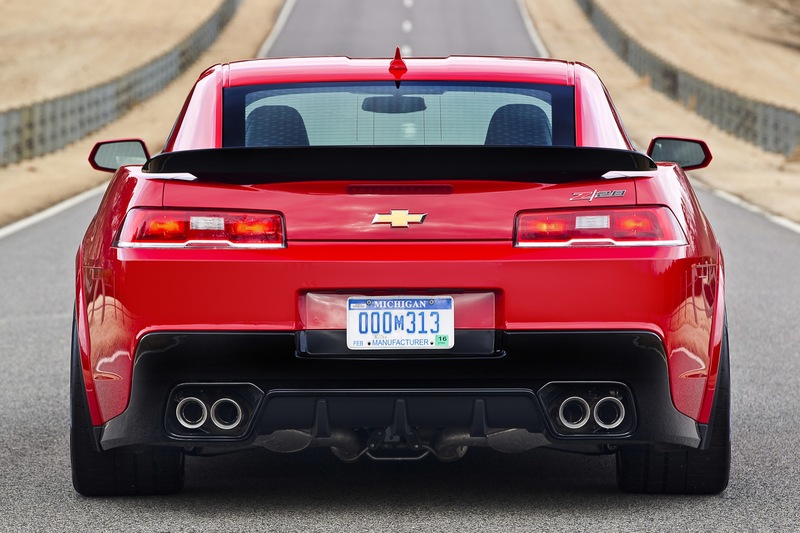 A sub-frame at the rear is double-isolated to minimize vehicle body motions and dampen road imperfections. 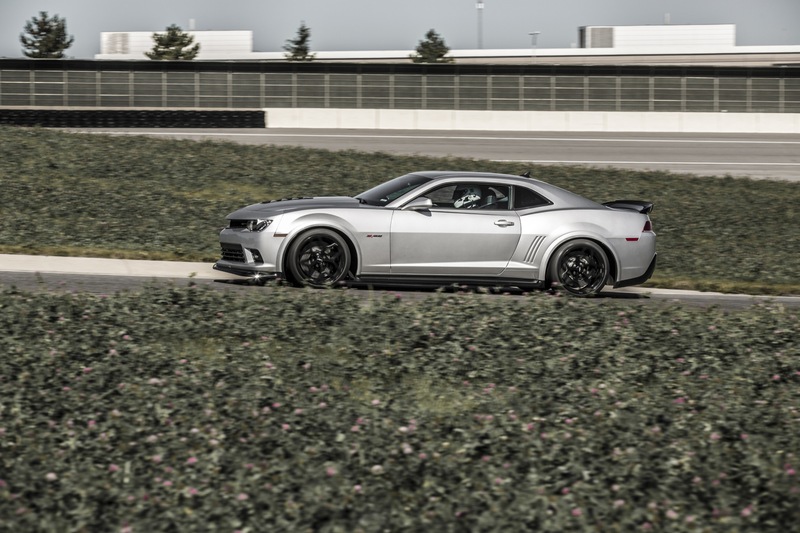 Coil-over shock absorbers are used in the rear with a decoupled, hollow stabilizer bar. 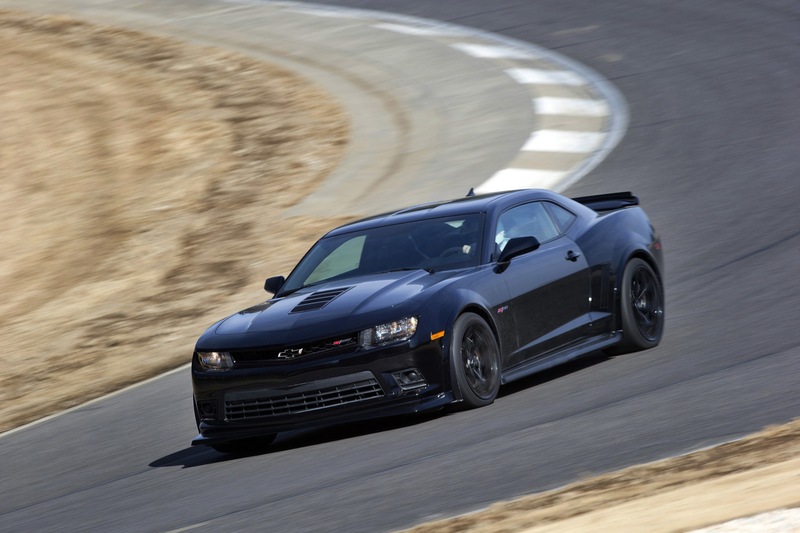 The front suspension has a dual-ball strut system, with a direct-acting stabilizer bar. 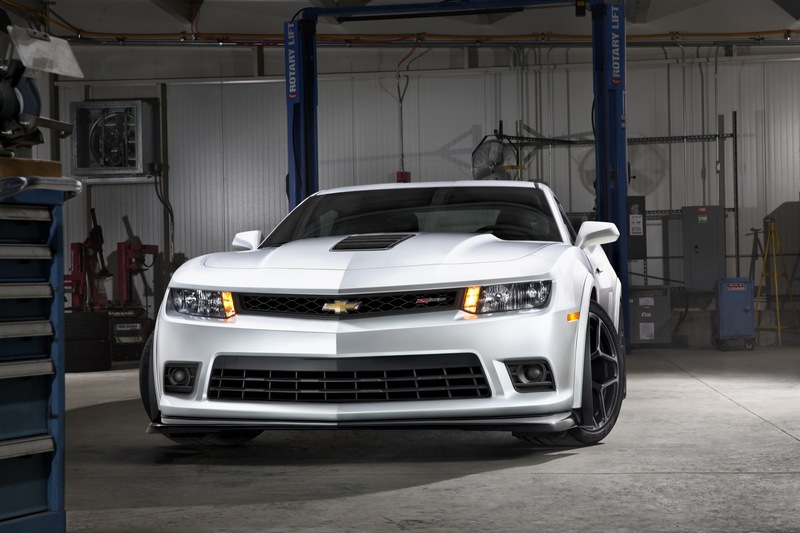 FE6 with the 1LE Performance Package. 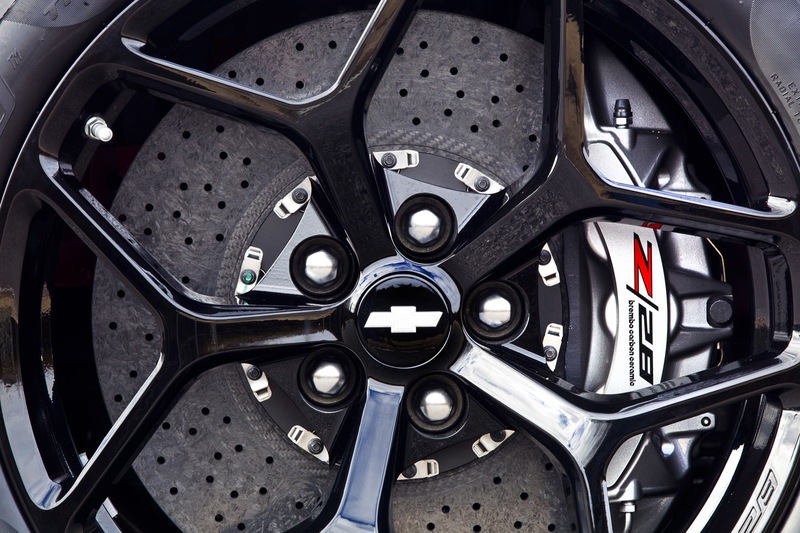 Four-wheel disc brakes are standard on all models – including Brembo four-piston calipers on the SS – with hydraulic brake assist. 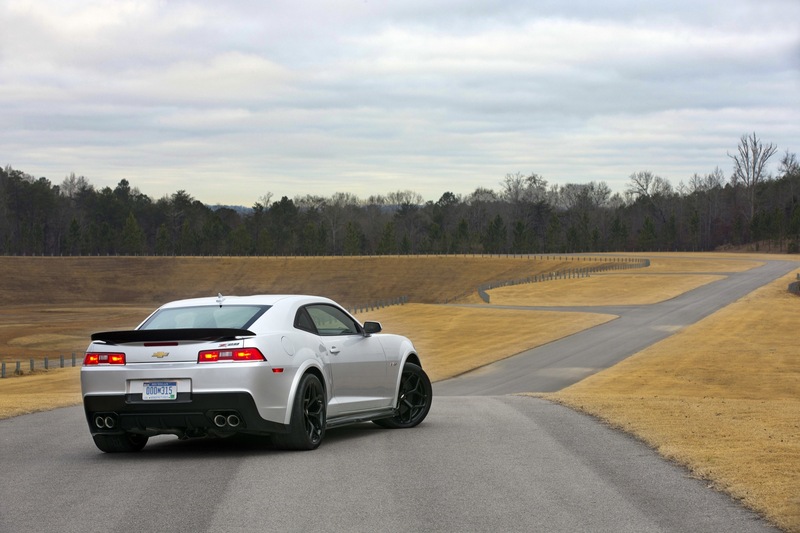 StabiliTrak electronic stability control is also standard on all models. 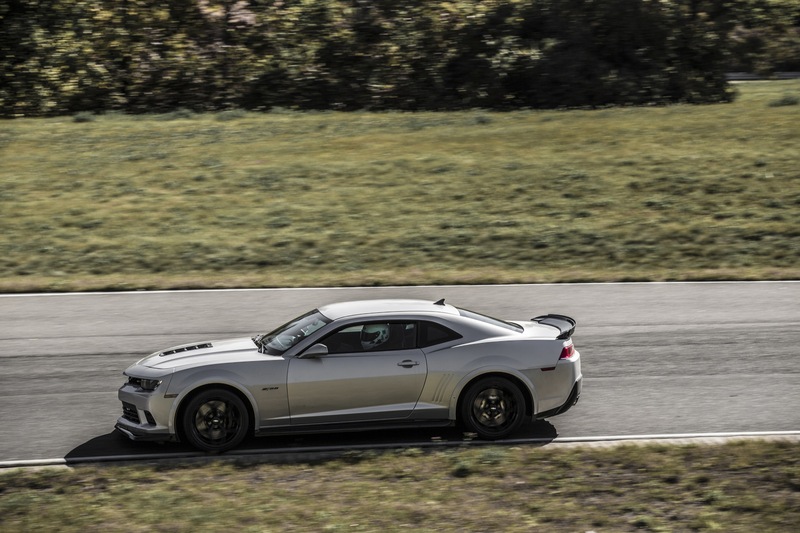 SS models feature a competitive/sport mode that enhances on-track performance, while Performance Launch Control on SS models with the manual transmission optimizes hard-acceleration launches for quicker, more consistent performance. 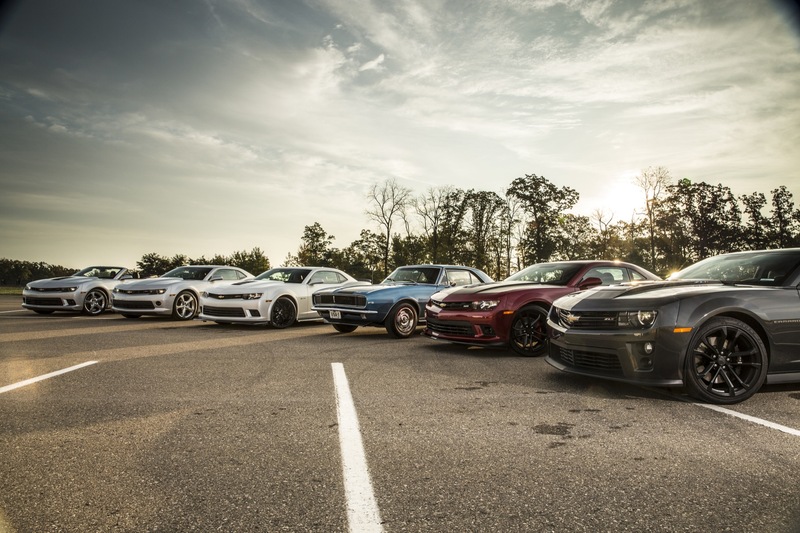 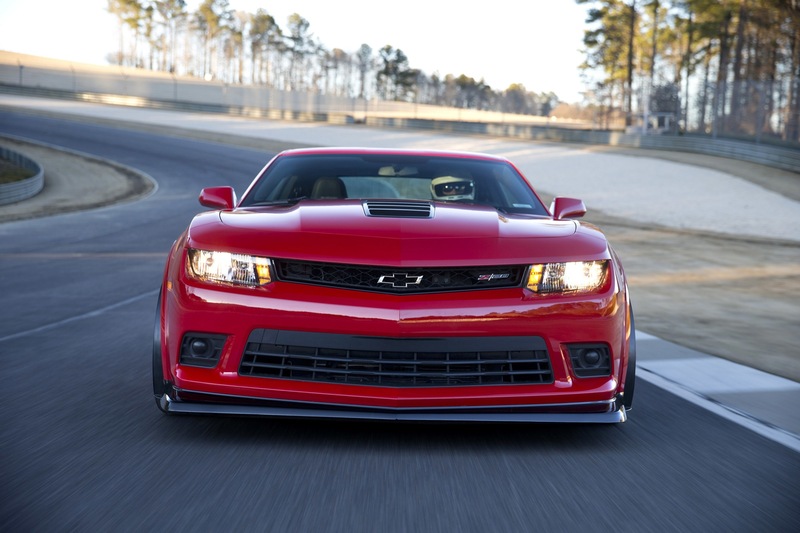 An electric power steering system originally developed for the ZL1 is standard on the SS. 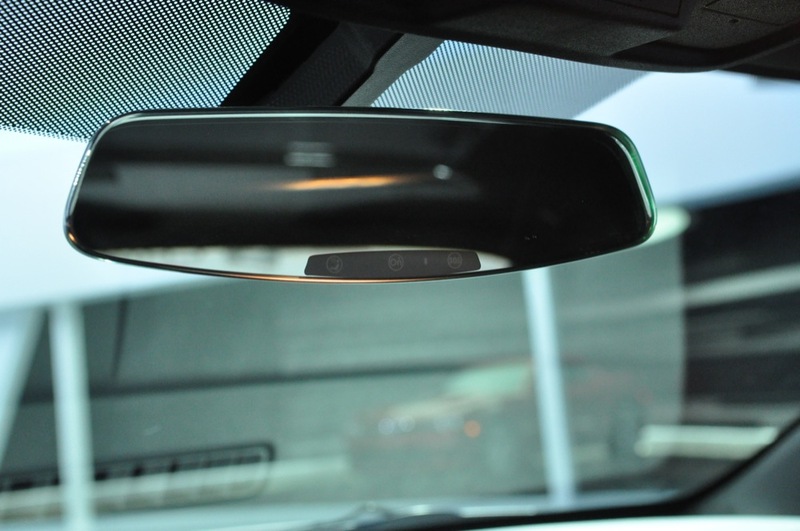 This variable ratio, variable effort system provides light efforts for easy maneuverability at parking-lot speeds as well as increased resistance at higher speeds, providing more feedback and a more direct steering feel. 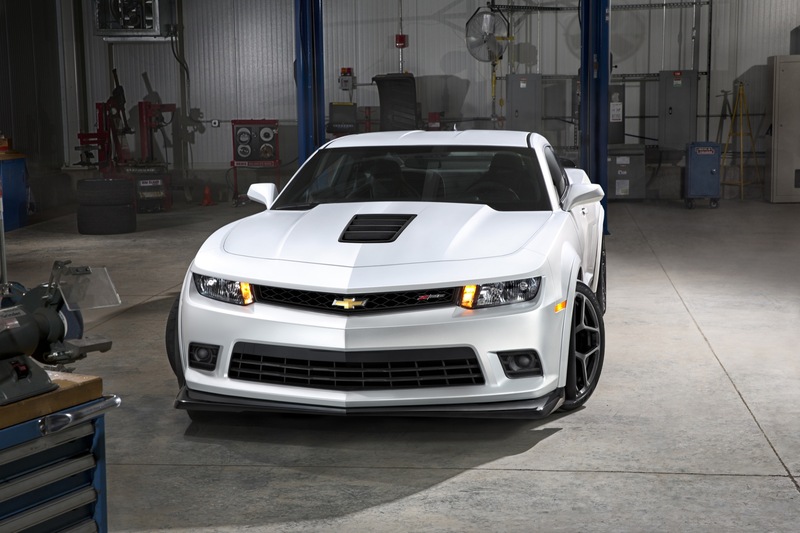 Chevrolet’s color touch radio with MyLink infotainment is available on LT, SS and ZL1 models. 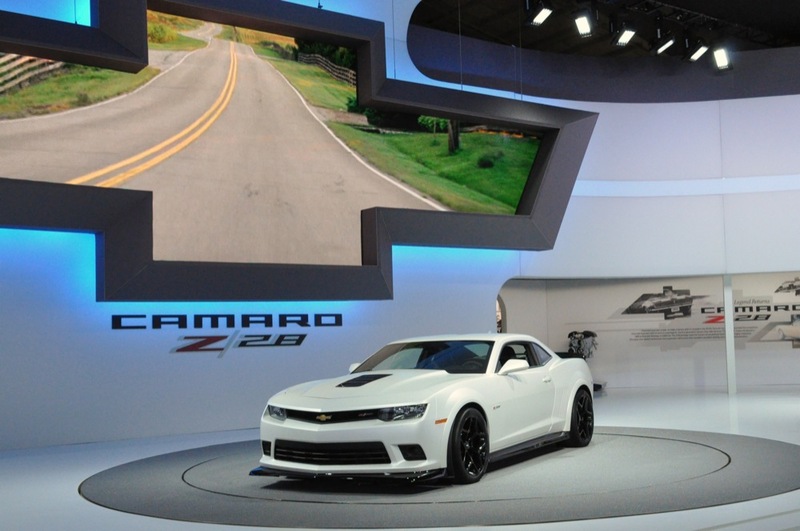 The color touch radio, with a seven-inch touch screen, can also be ordered with an available in-dash GPS navigation system – a first for the Camaro. 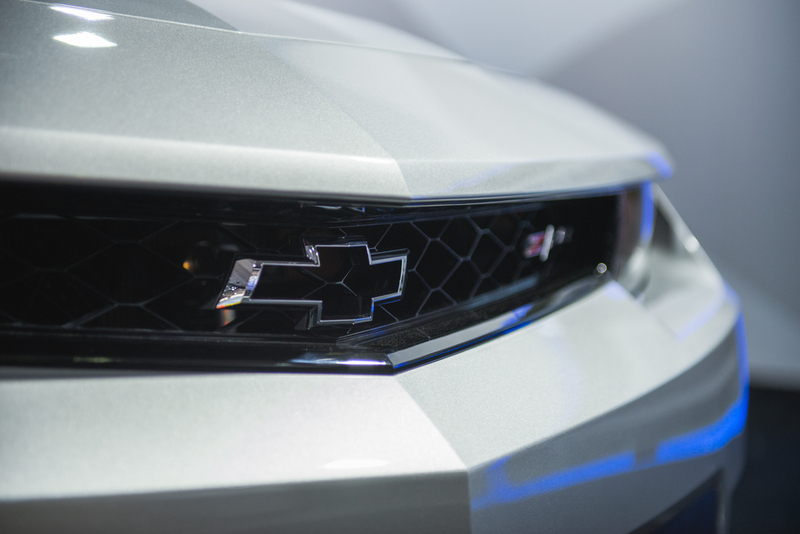 The color touch radio with MyLink gives customers a higher level of in-vehicle wireless connectivity and customized infotainment options, while building on the safety and security of OnStar. 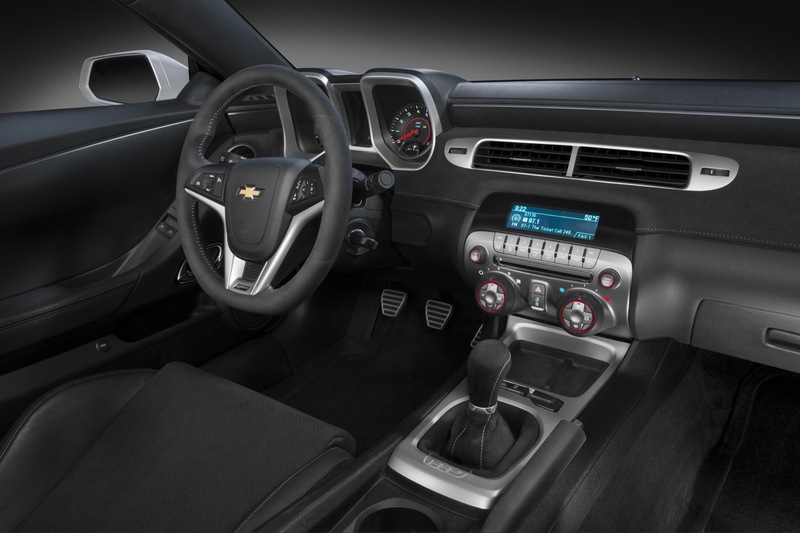 The unit seamlessly integrates online services such as Pandora internet radio and Stitcher SmartRadio using hands-free voice and touch-screen controls via Bluetooth-enabled phones. 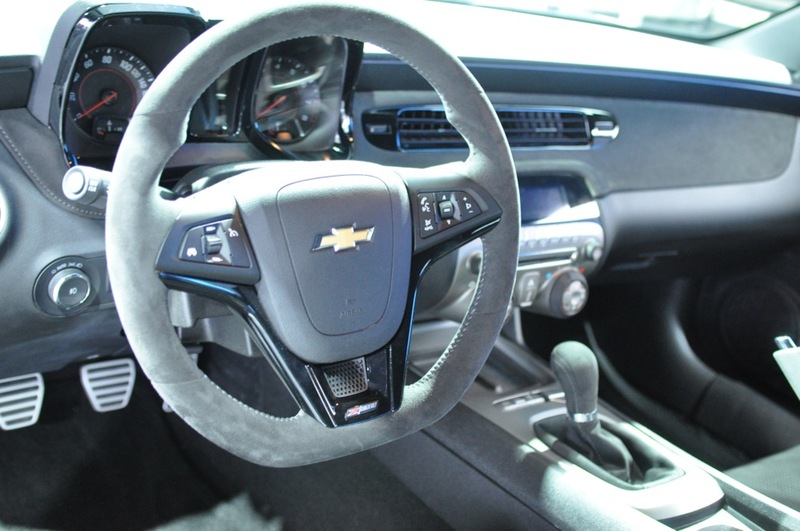 MyLink also adds stereo audio streaming and wireless control of smartphones, building on the voice-activated Bluetooth hands-free calling capability already offered in most Chevy vehicles. 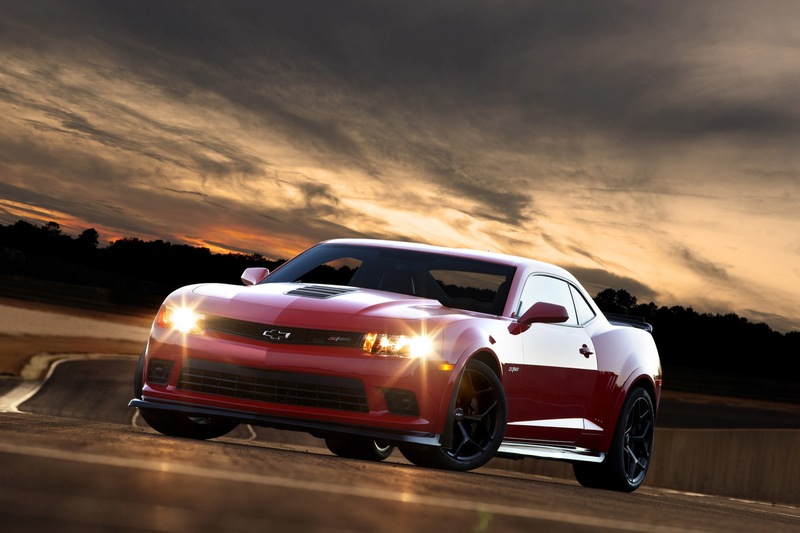 The high-resolution, full-color touch screen display makes media selection easy to navigate. 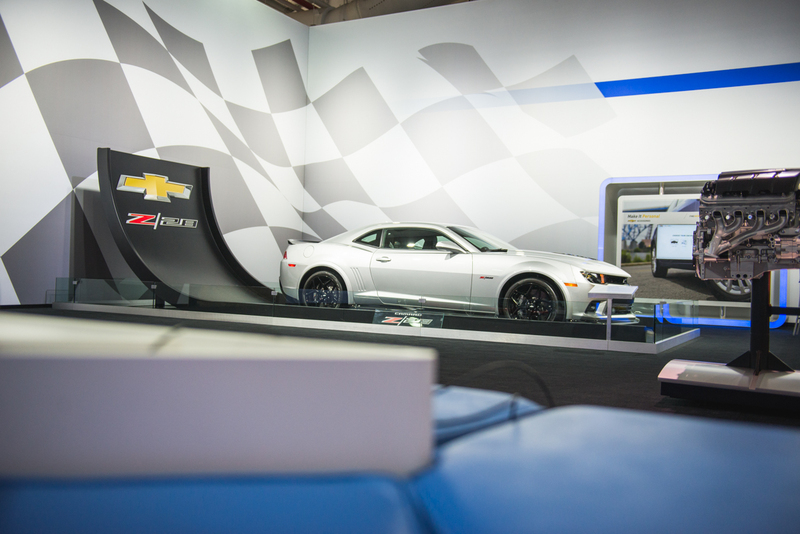 MyLink also retains all the capabilities of today’s entertainment functions, including AM/FM/Sirius XM tuners, auxiliary and USB inputs. 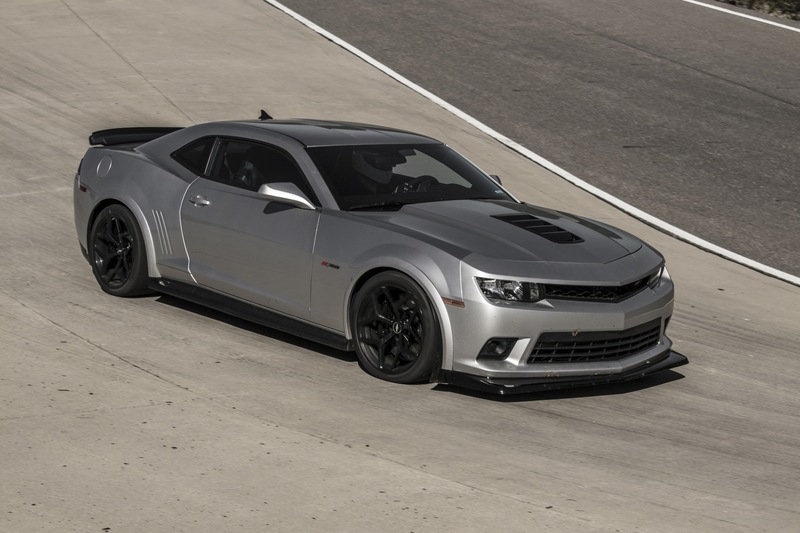 Coupe models come with six standard air bags, including side curtain air bags, which provide head protection for outboard passengers in the event of a side-impact or rollover crash. 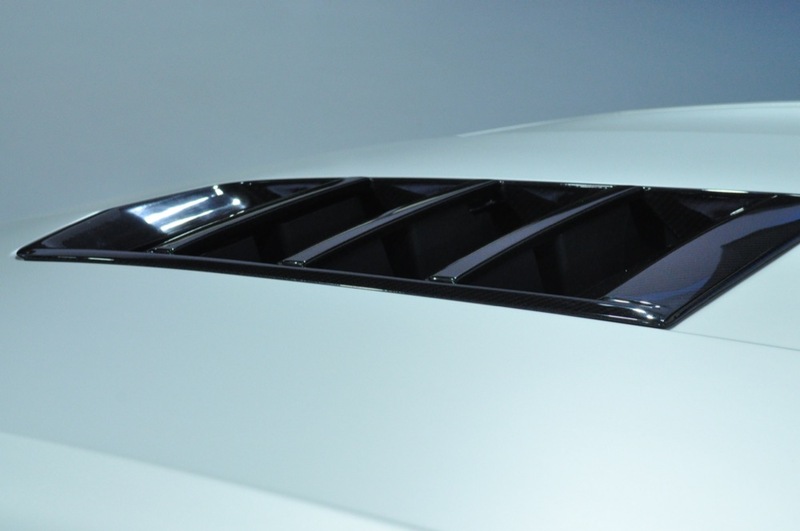 Convertibles have four standard air bags. 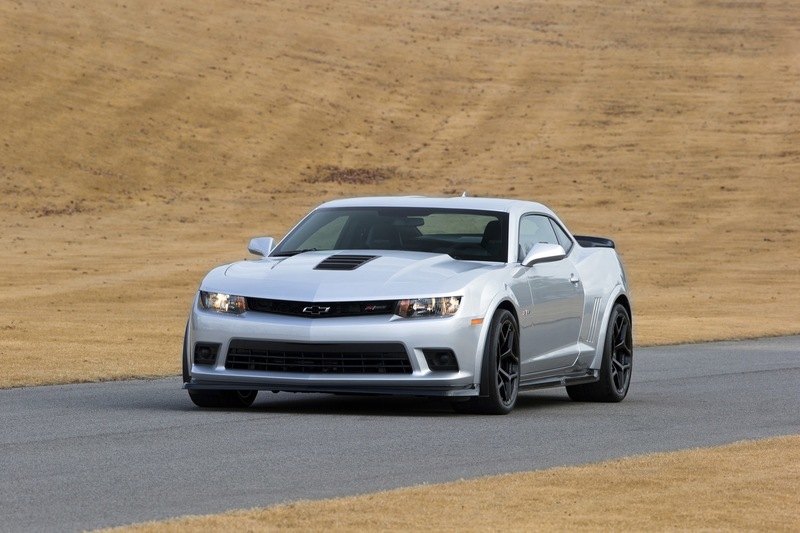 Six months of OnStar Directions and Connections service is standard on all Camaro models. 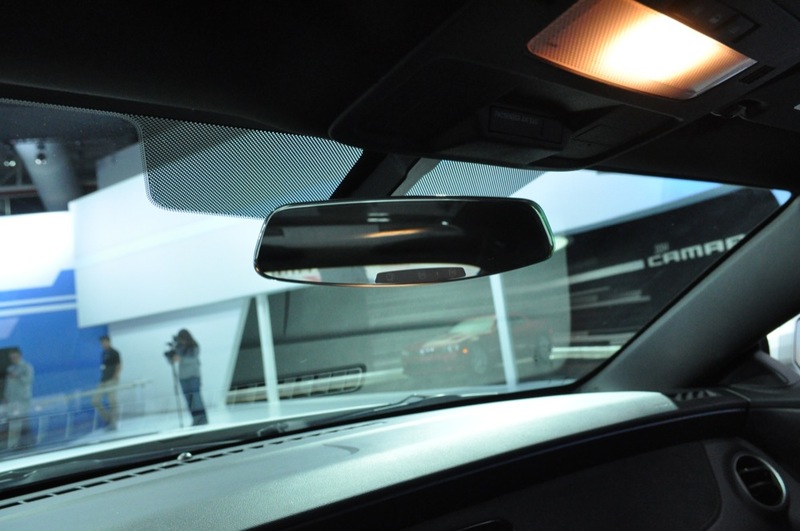 The system uses GPS and cellular phone technology to automatically call for help in the event of crash. 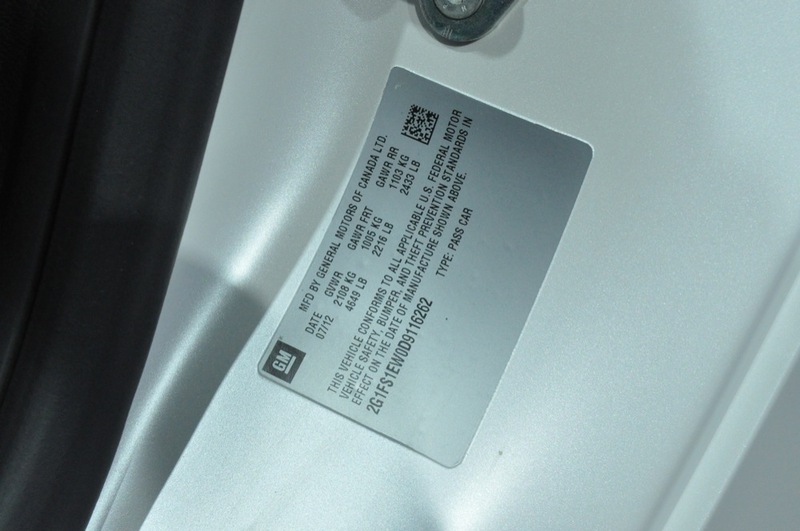 OnStar service also includes the OnStar RemoteLink app, which offers vehicle information and OnStar key fob services via the customer’s smartphone. 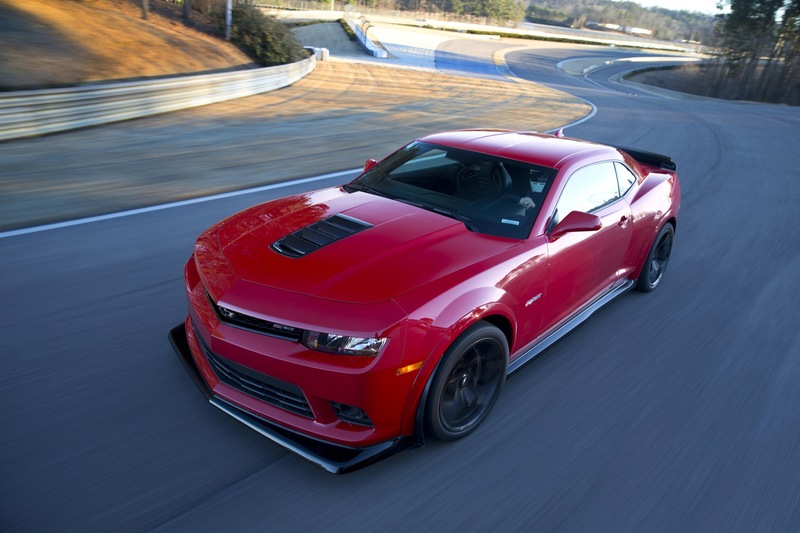 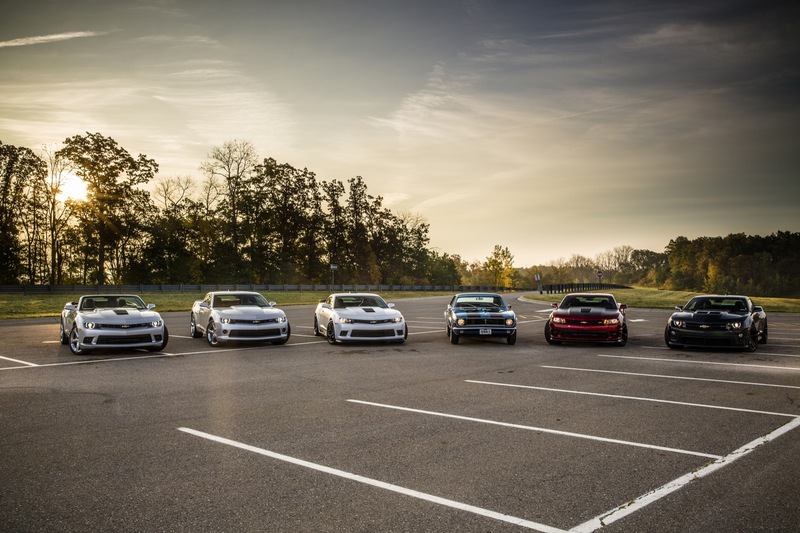 Following are all of the RPOs, or Regular Production Options, available when GM builds a 2014 Camaro. 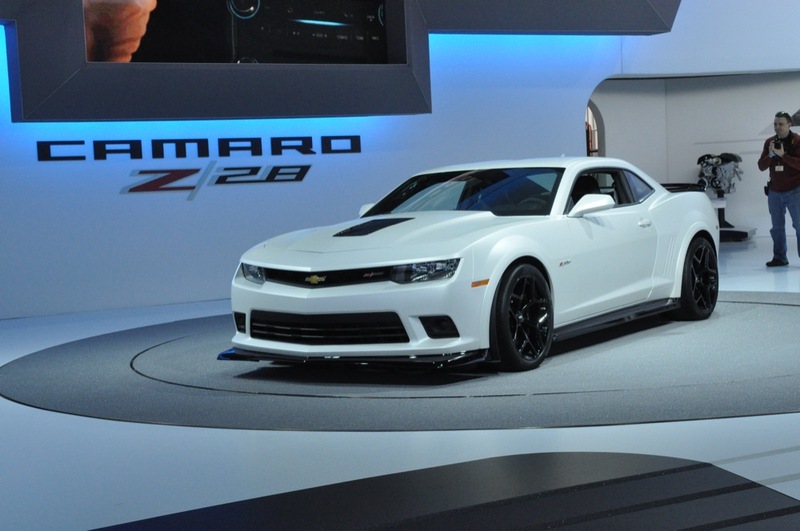 The 2014 Camaro begun arriving at dealers around the fall of 2013 while the 2014 Camaro Z/28 began arriving in the spring of 2014. 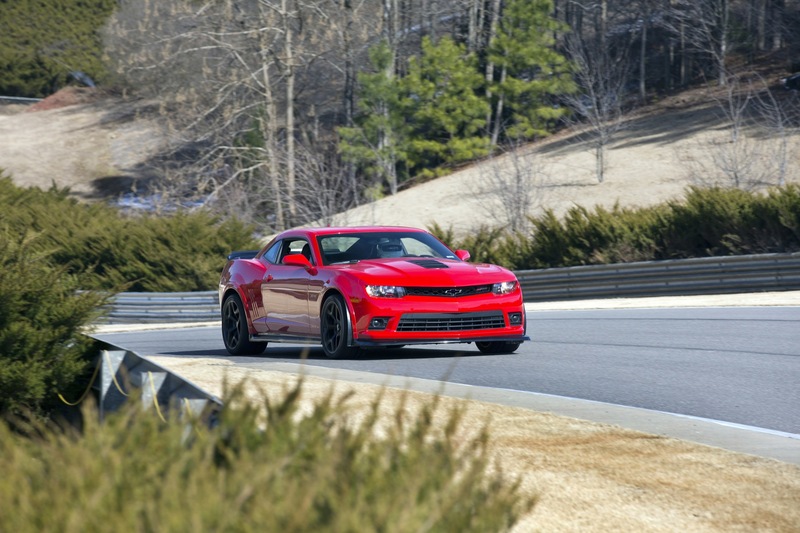 In March, Chevrolet announced that the 2014 update to the Camaro will bring forth “design and performance” enhancements. 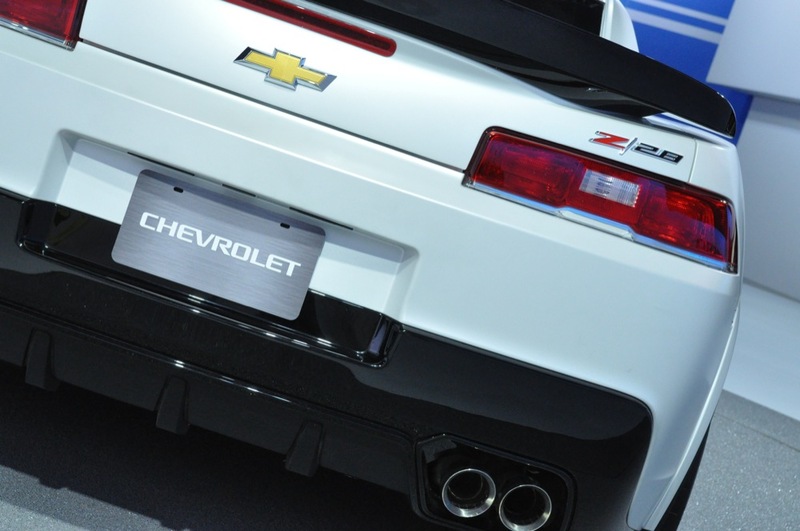 Chevrolet originally released a teaser image of the 2014 Camaro on March 20th, 2013. 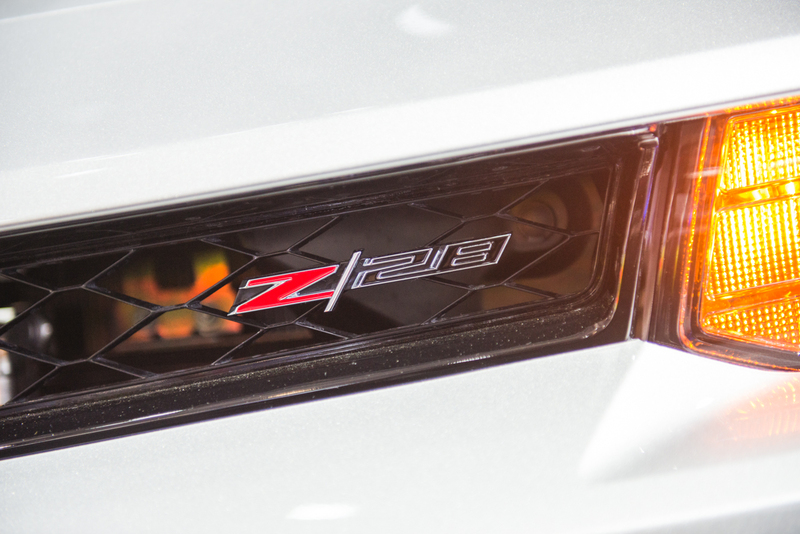 The image showed a close-up shot of the refreshed car’s grille. 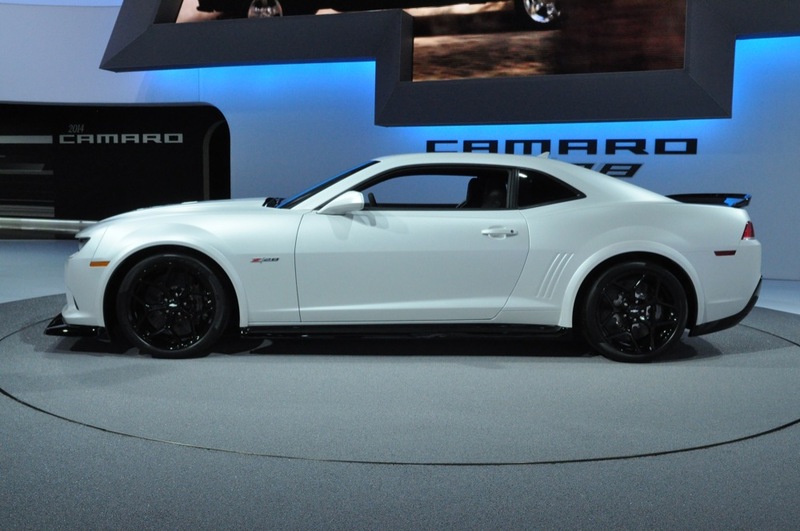 On March 26th, 2013, Kelly and Michael scooped the 2014 Camaro live on television.